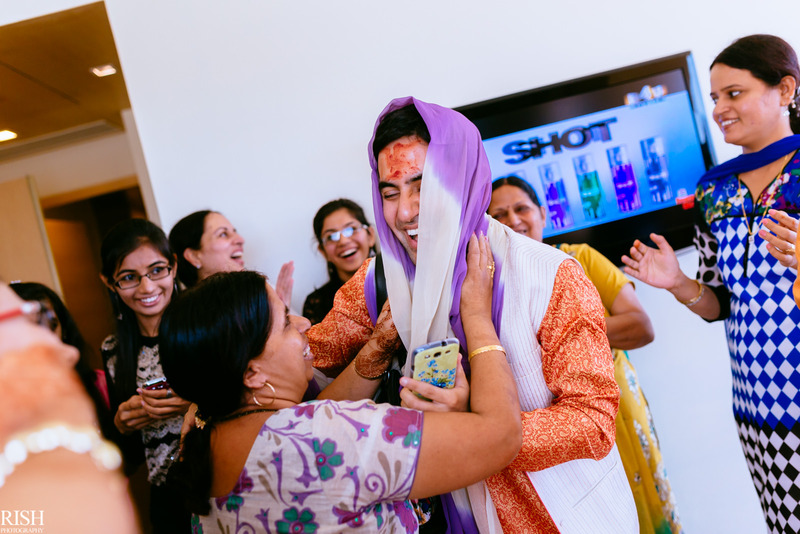 My love affair with New York continues with another amazing bunch of families’ celebrations I had the privilege to be a part of. 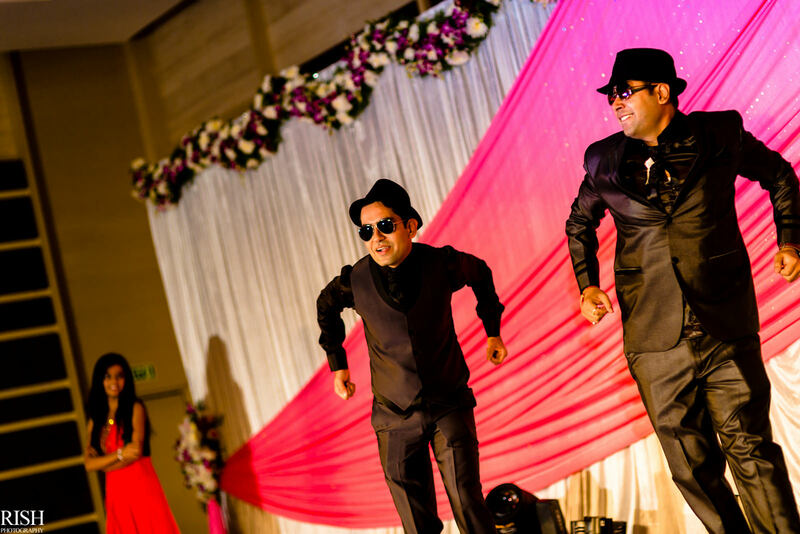 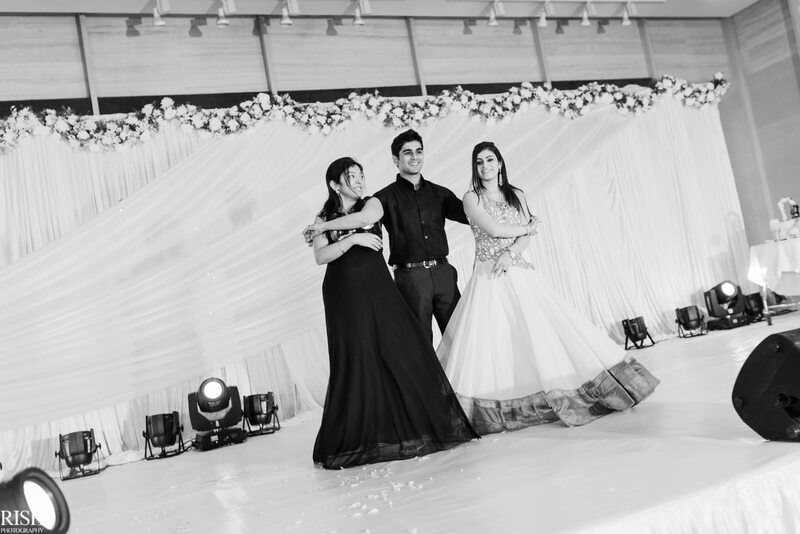 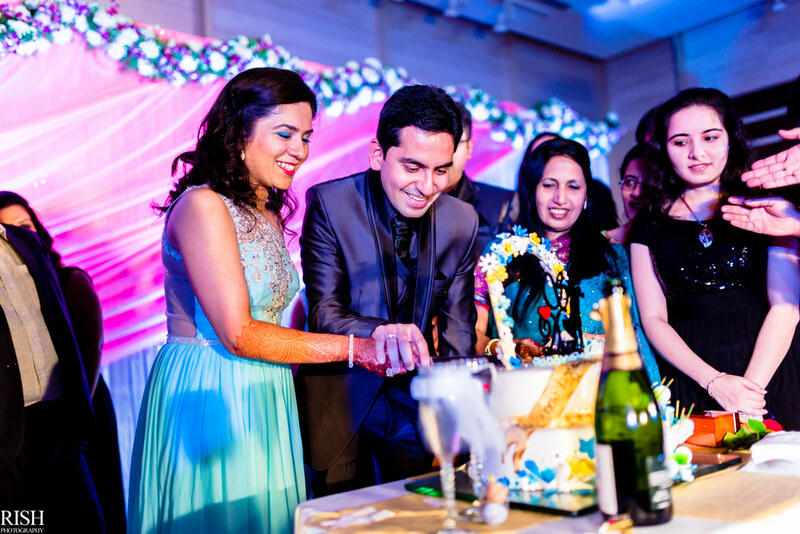 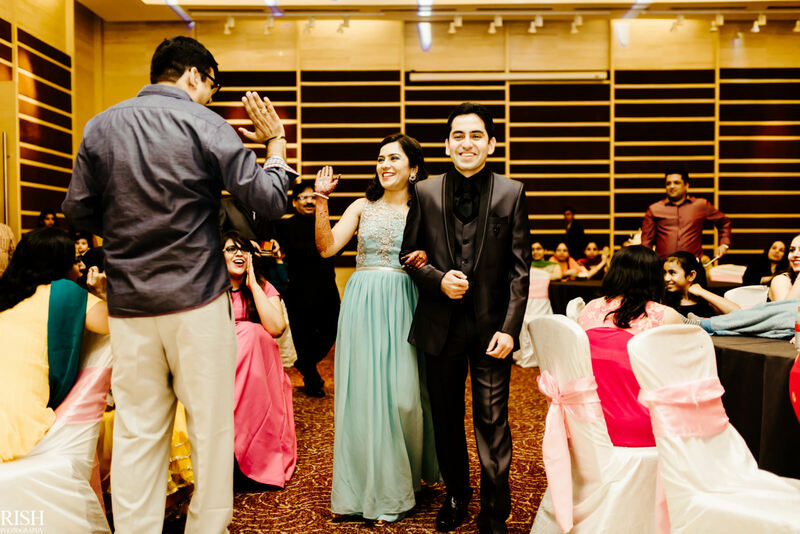 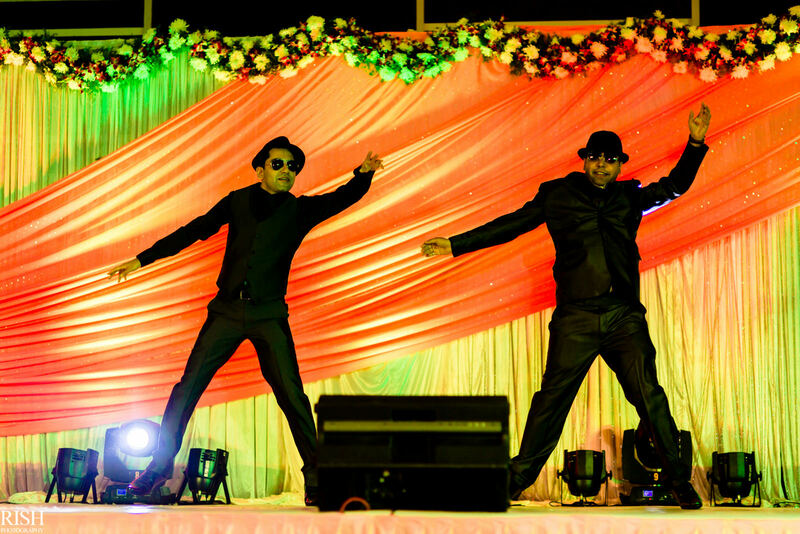 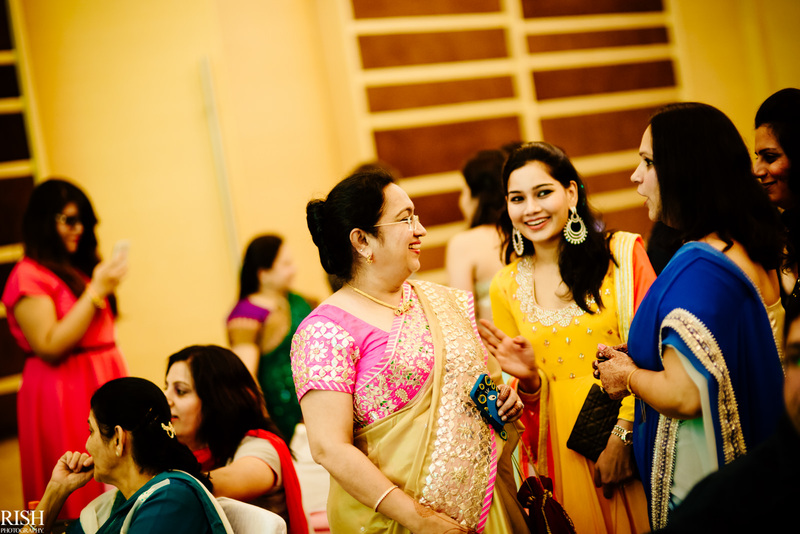 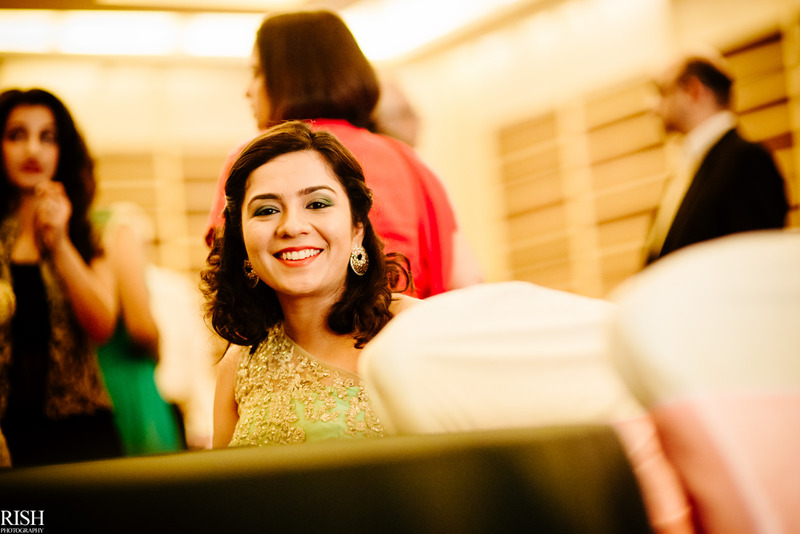 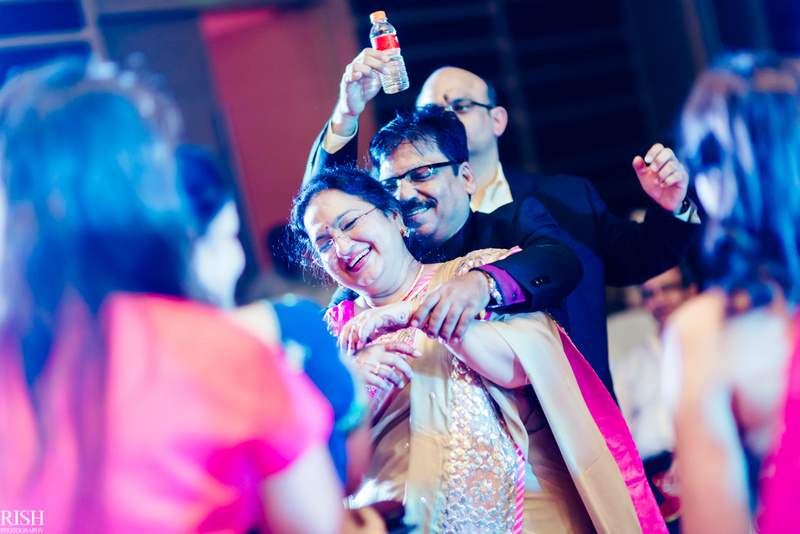 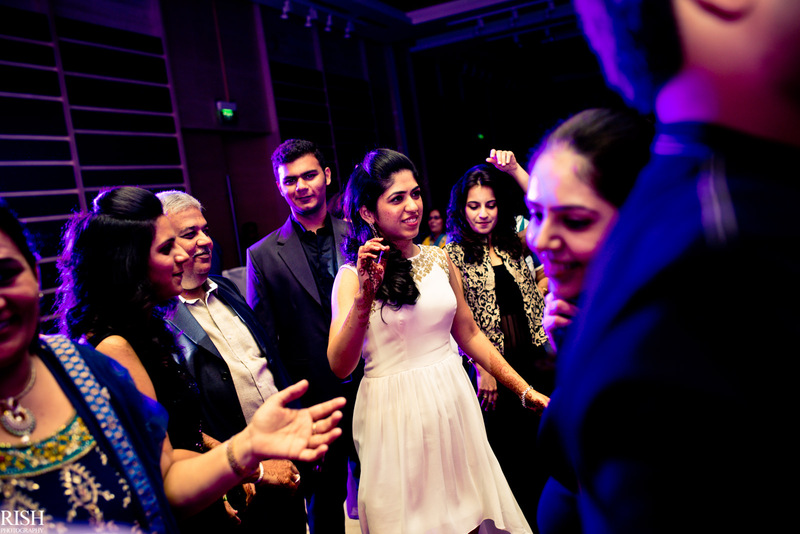 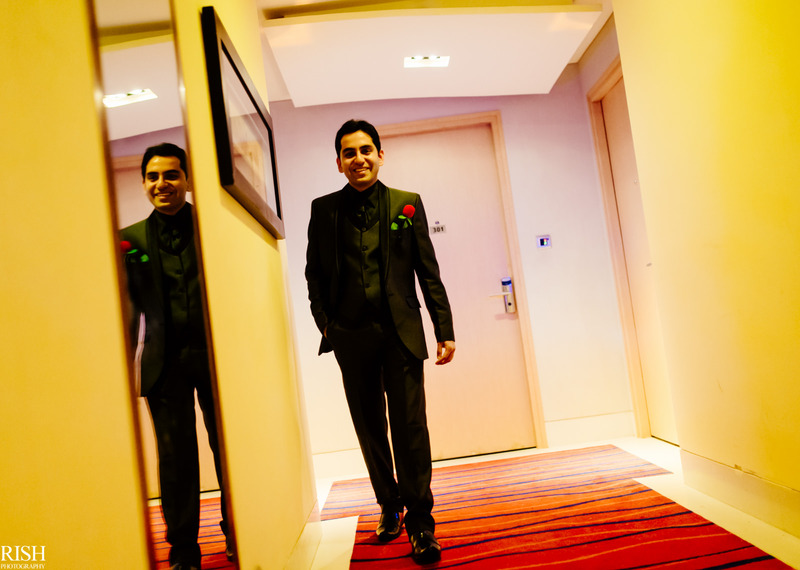 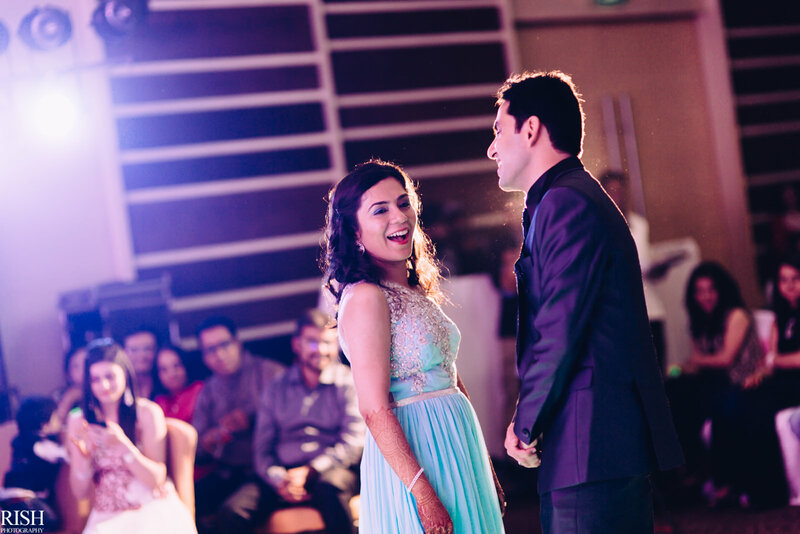 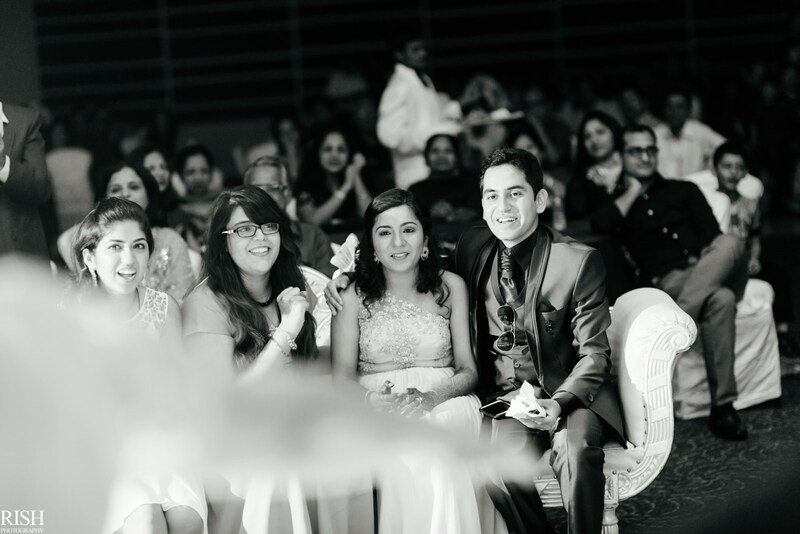 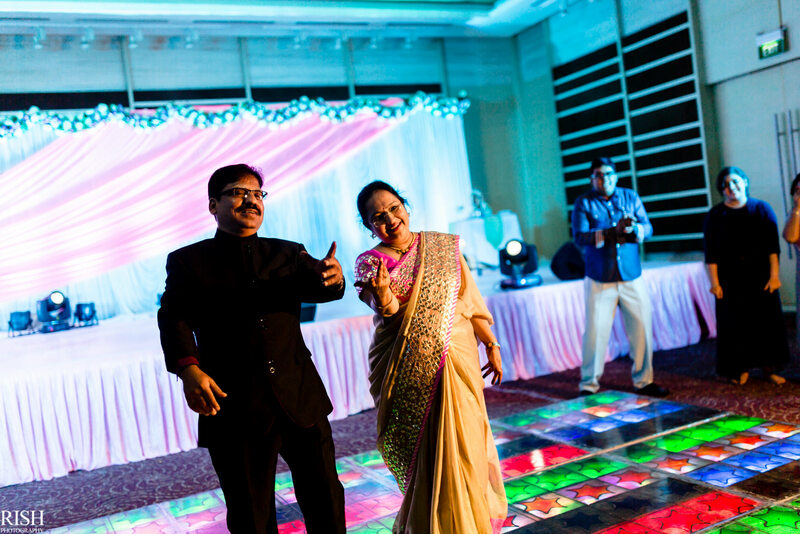 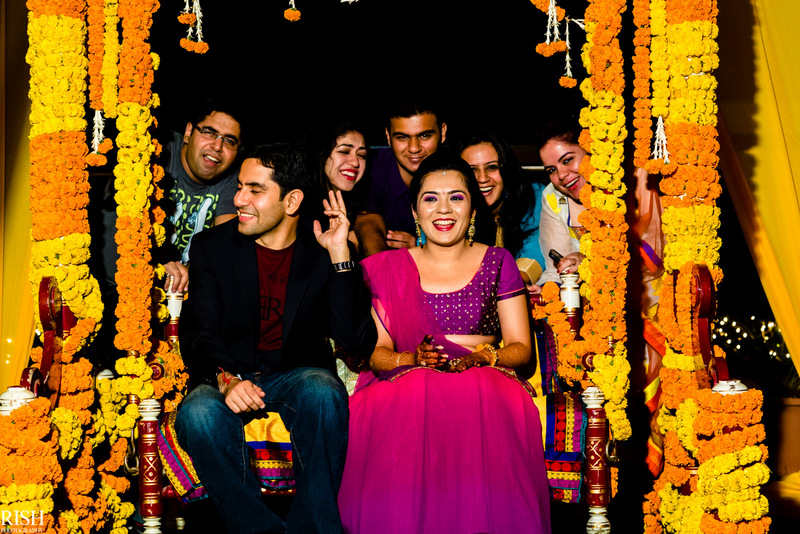 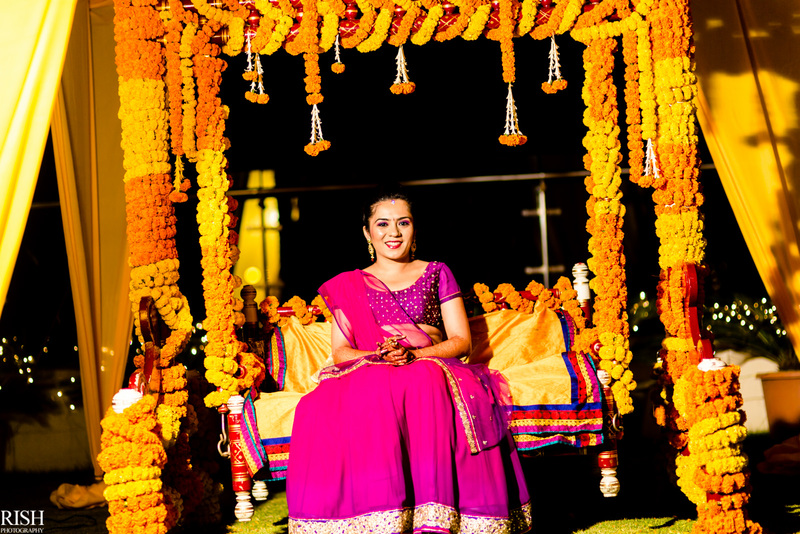 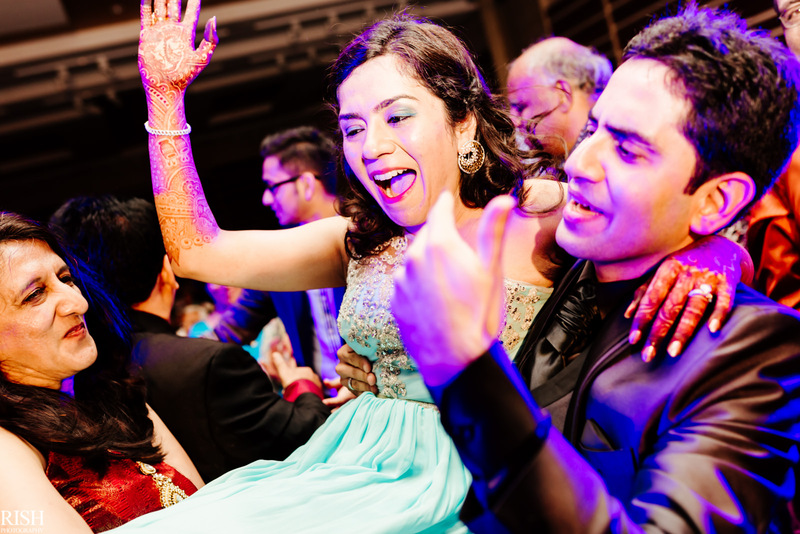 Dhiraj & Smriti met through their respective families and something clicked instantly between them. 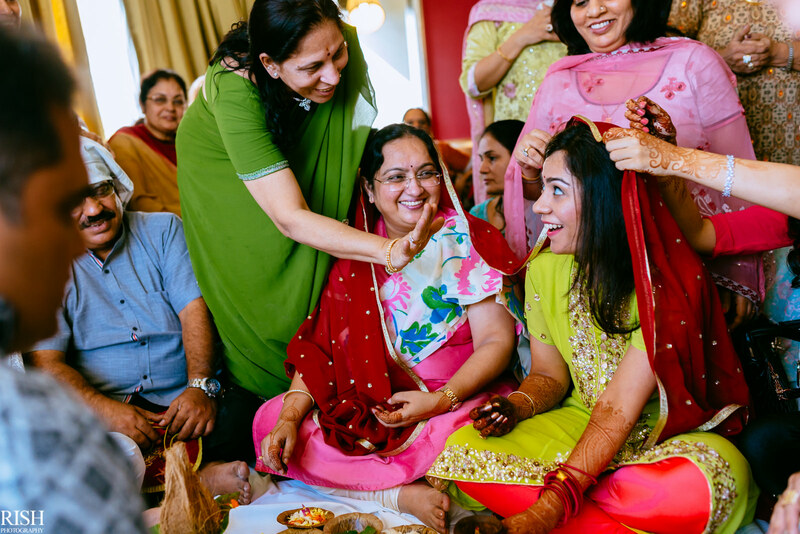 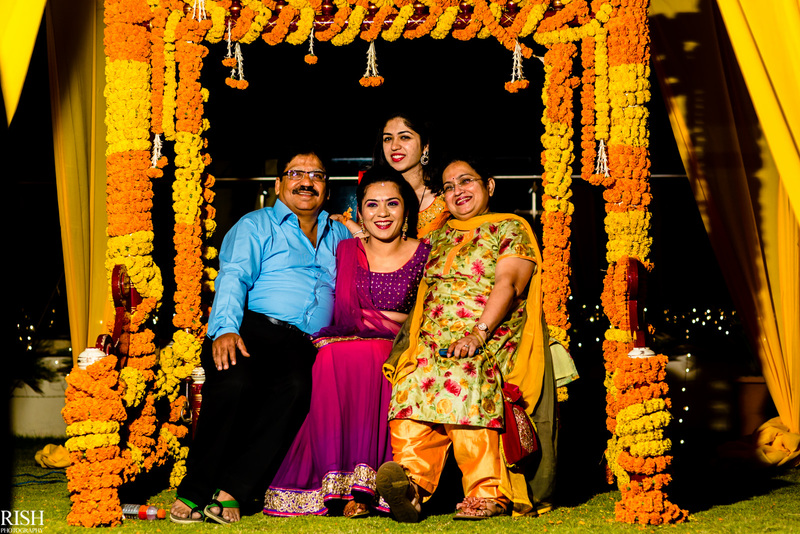 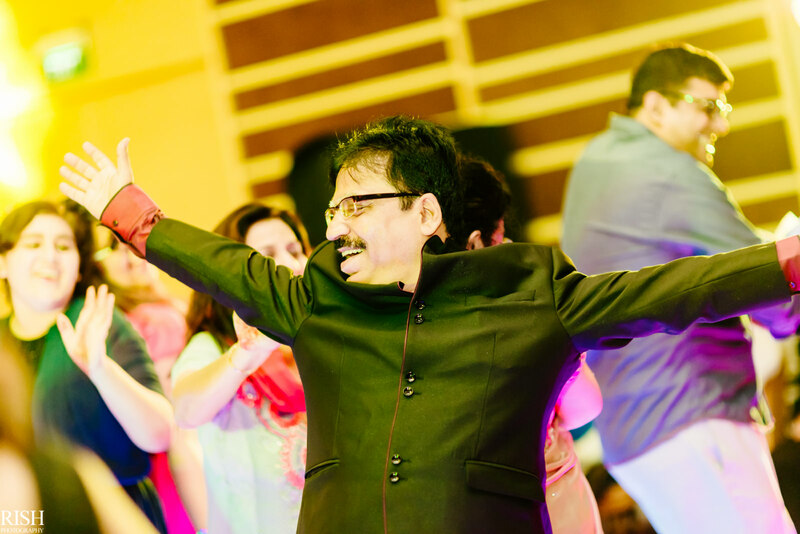 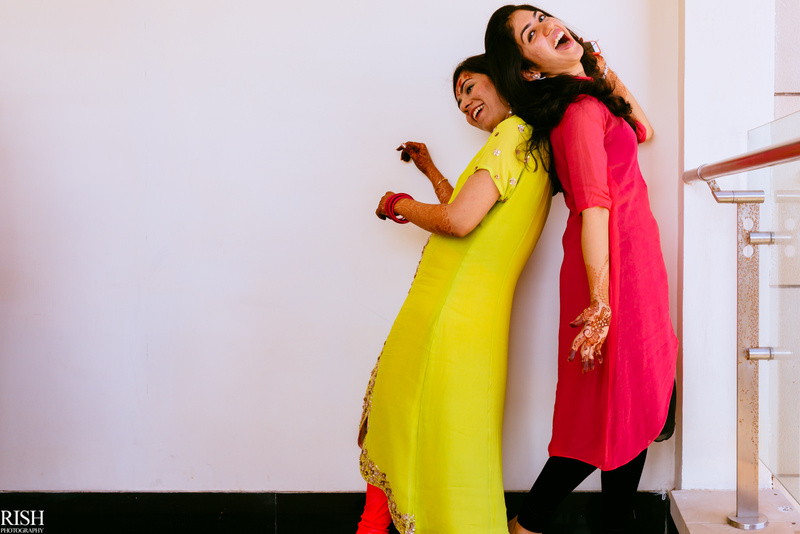 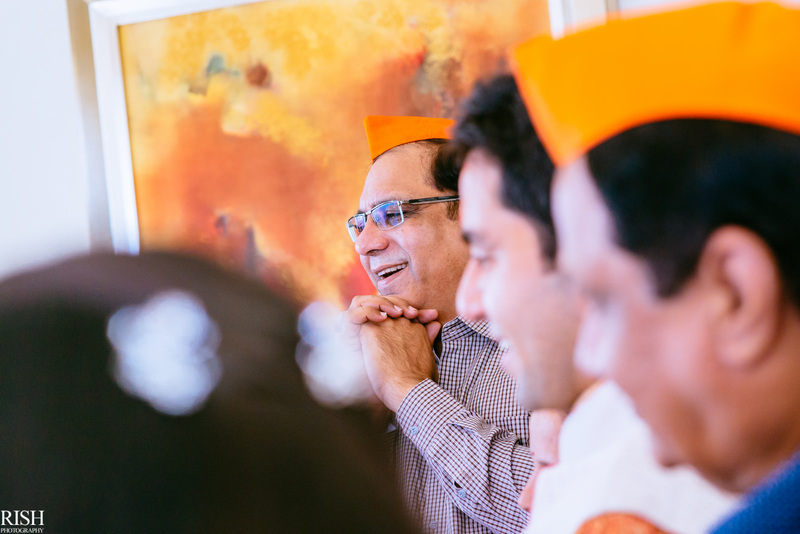 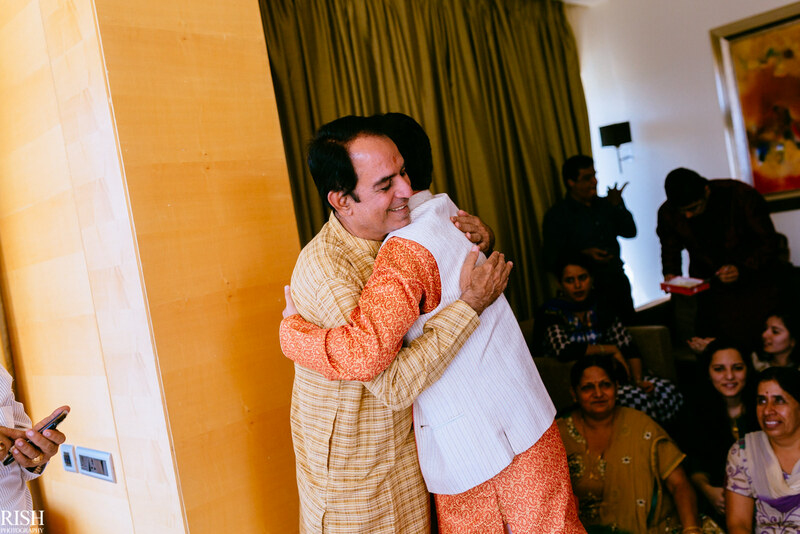 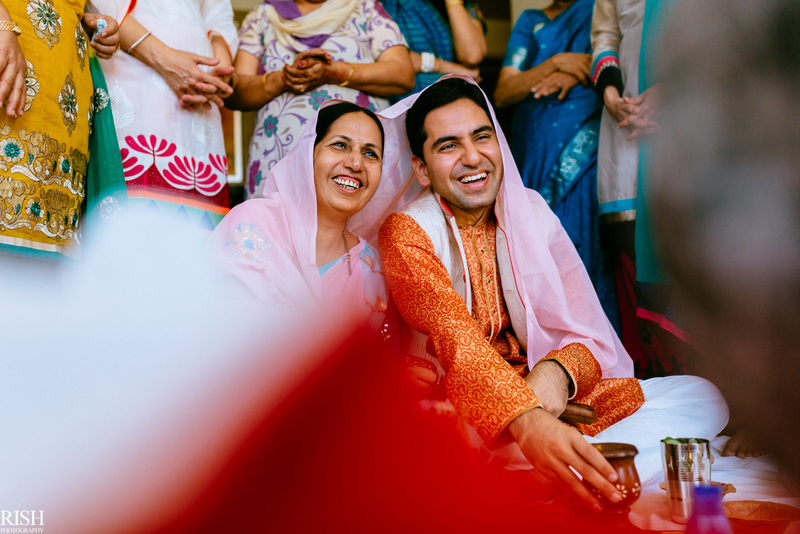 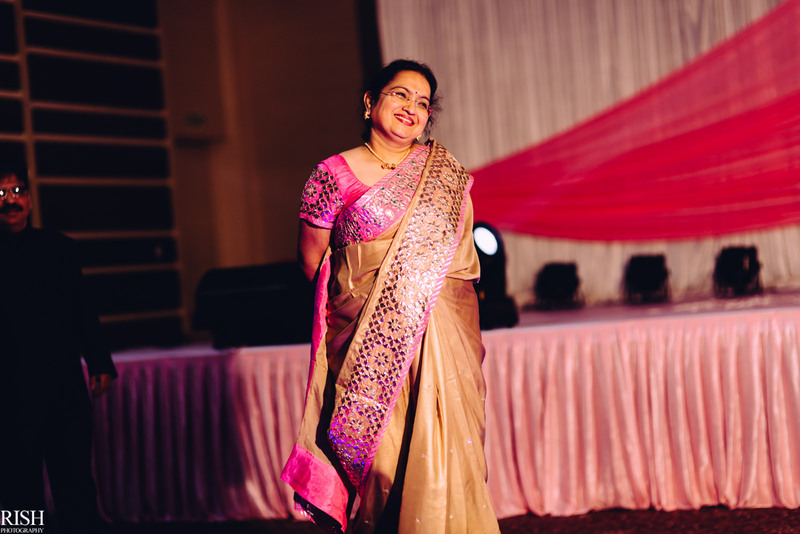 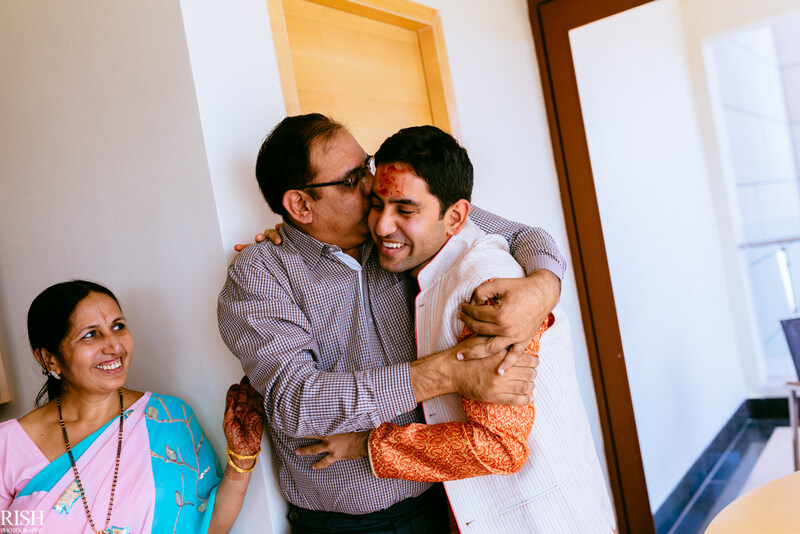 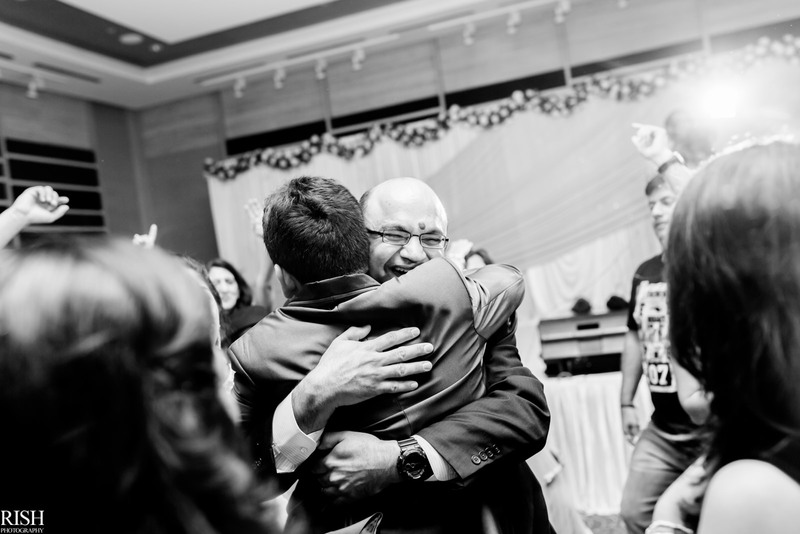 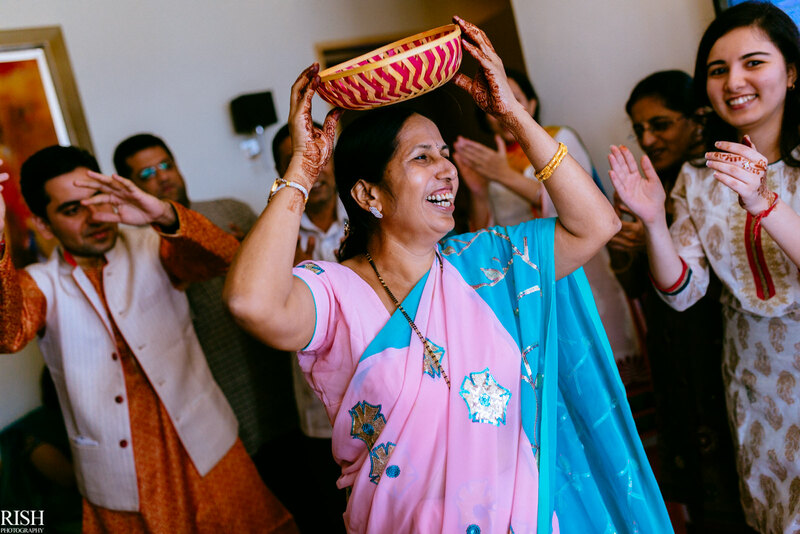 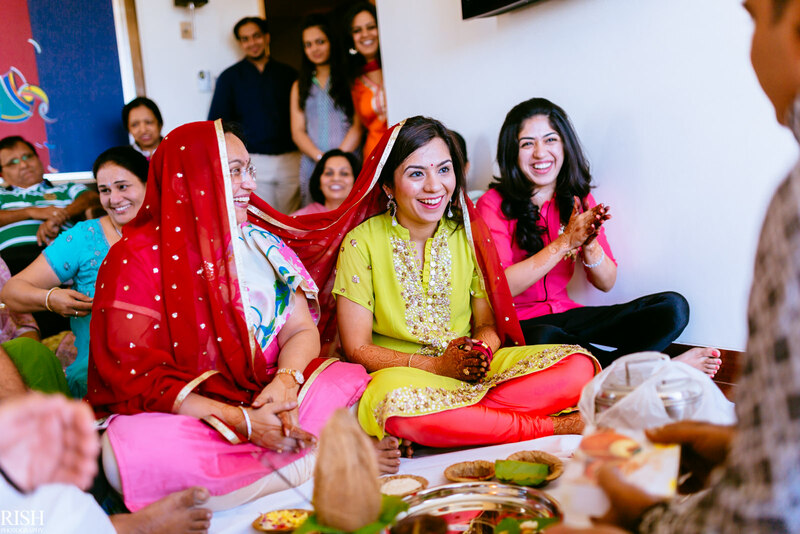 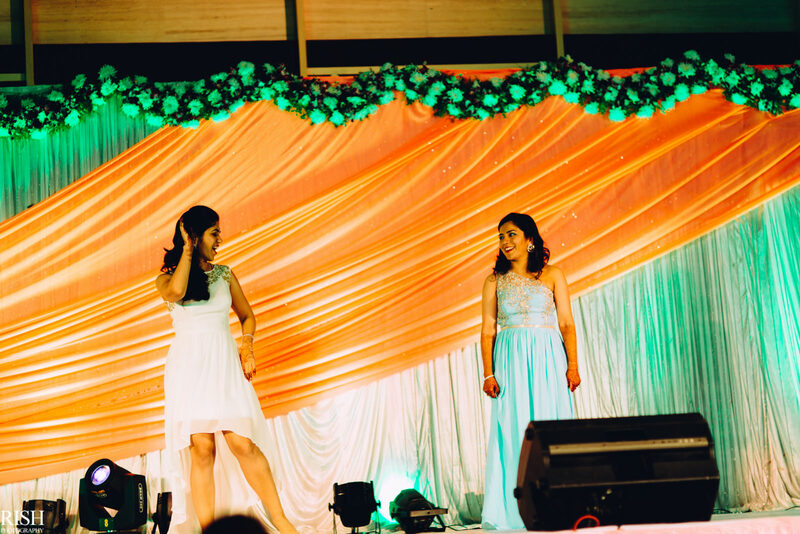 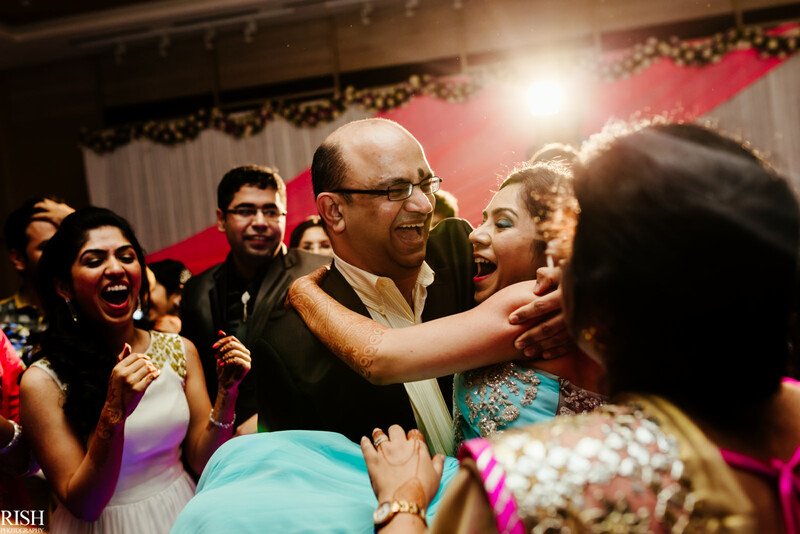 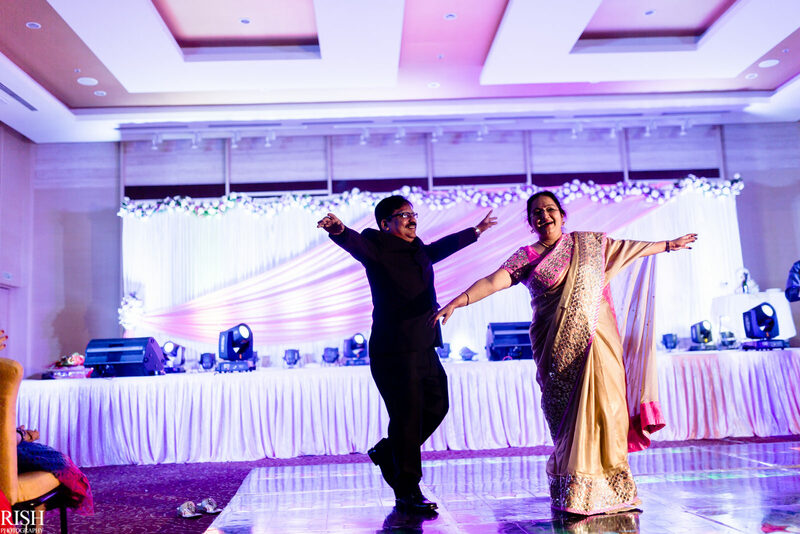 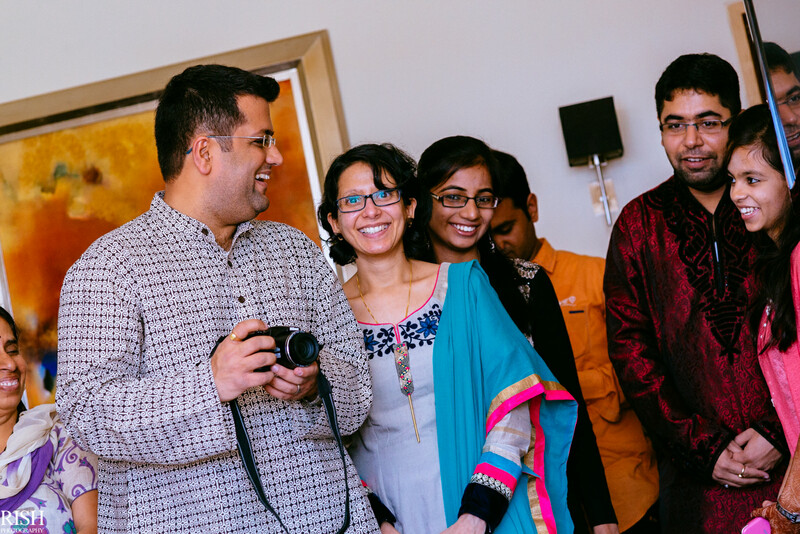 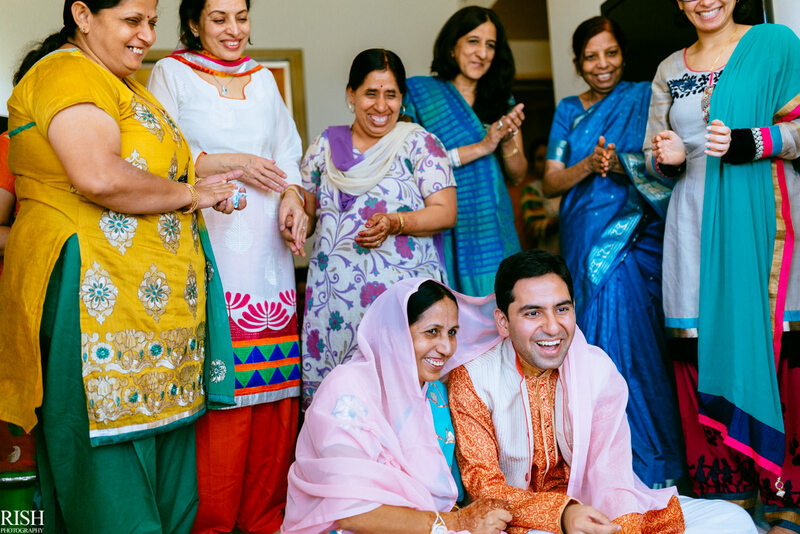 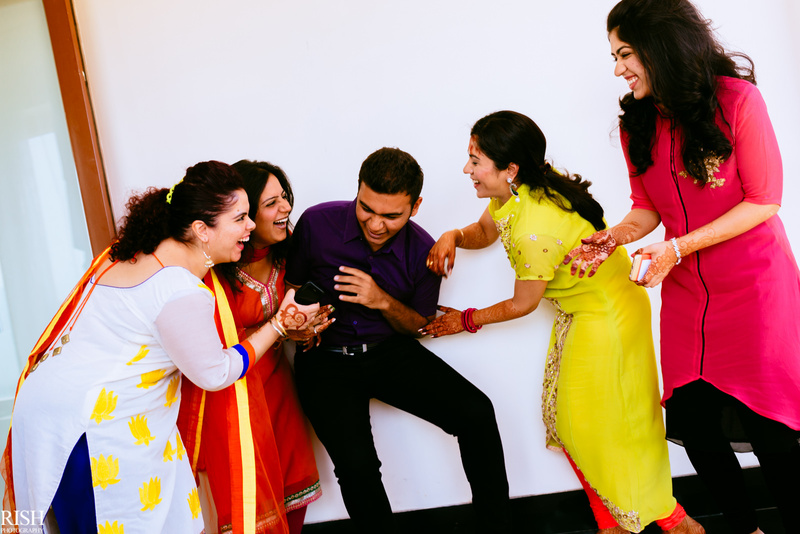 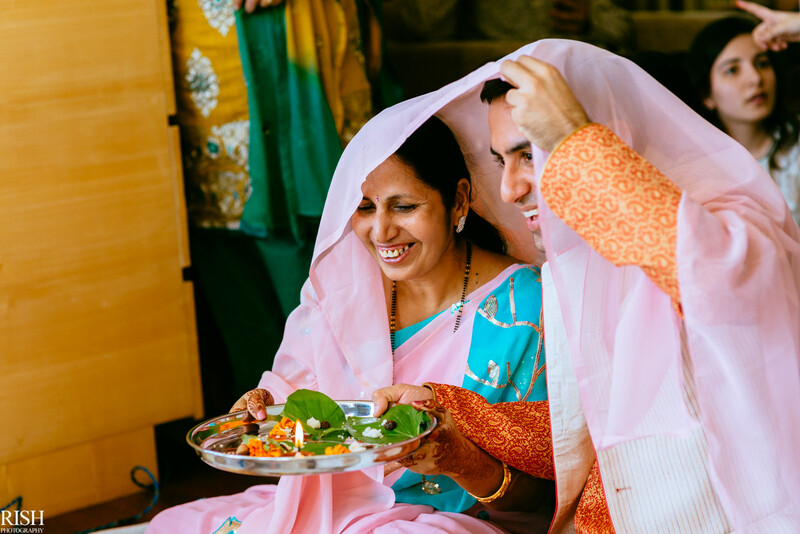 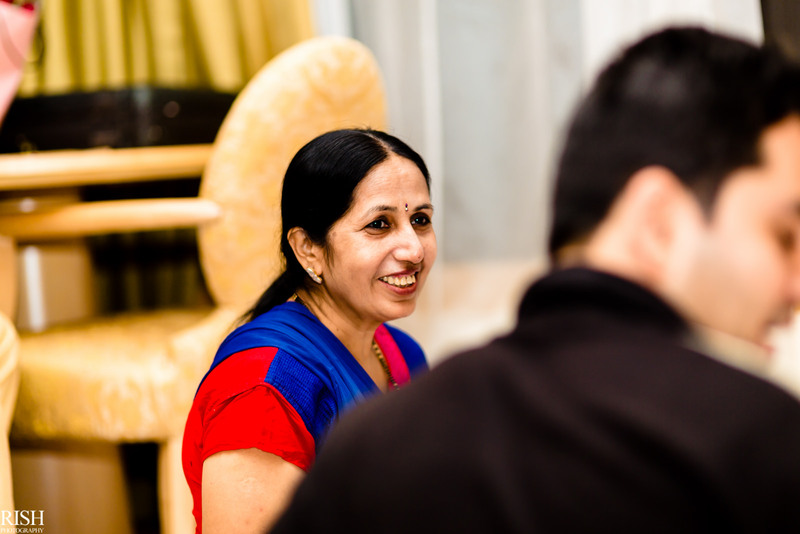 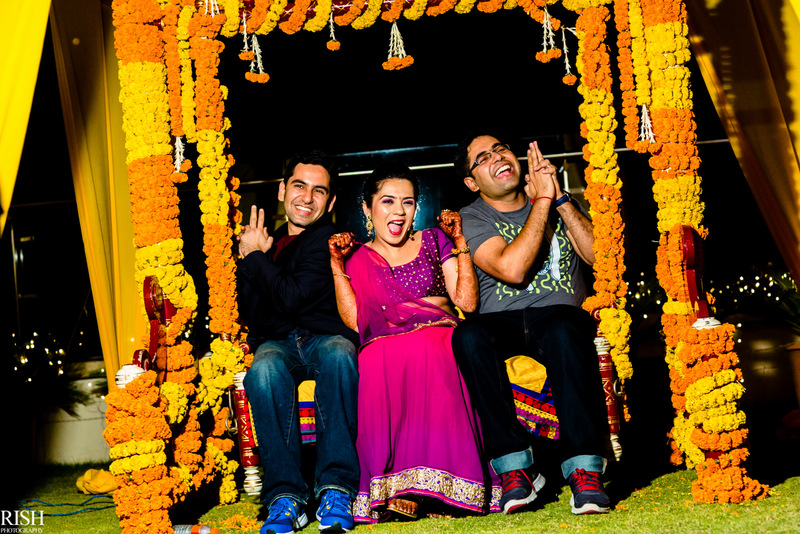 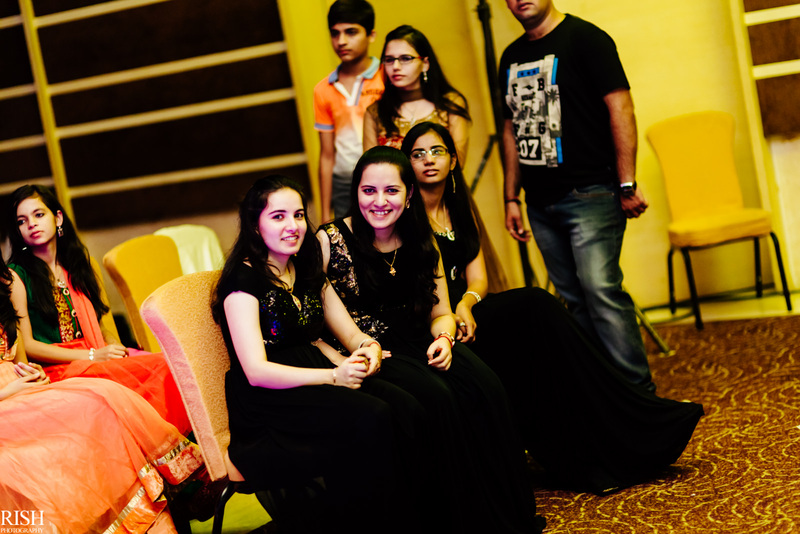 Few dates later, they gave their families another reason to celebrate and I was called to document what were going to be two amazing days in Hyderabad, India! 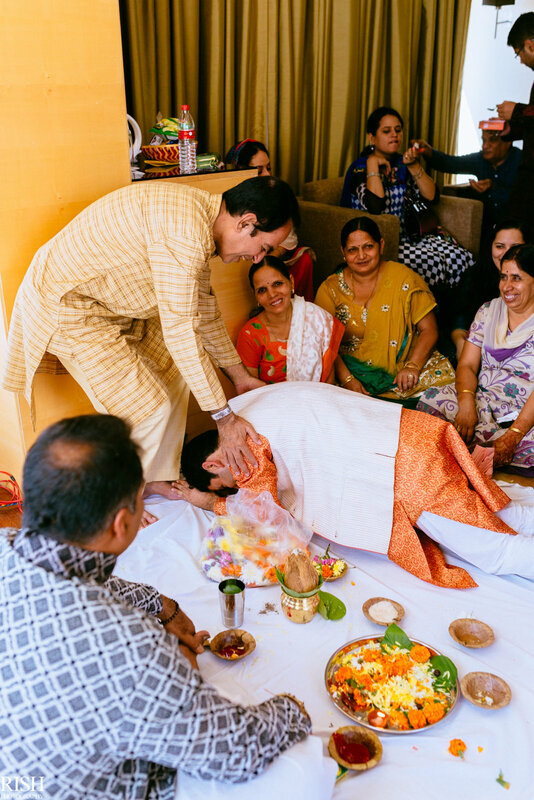 Day one’s morning started with pooja at the Chawla’s! 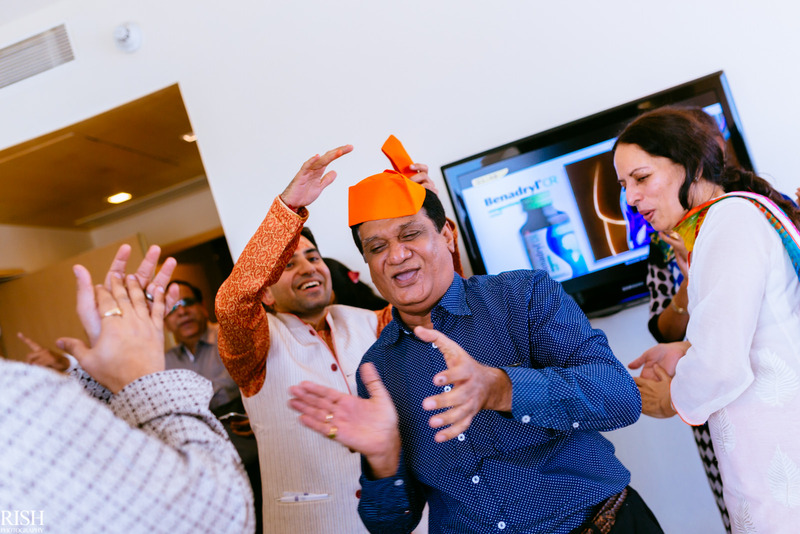 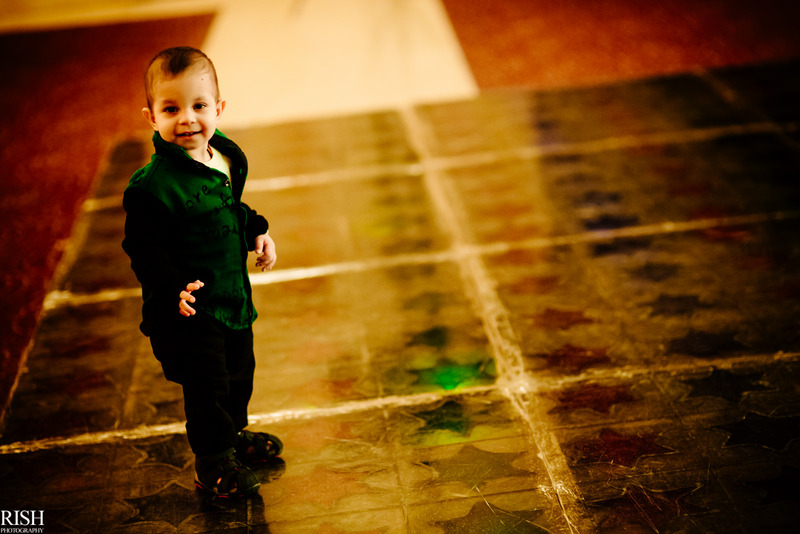 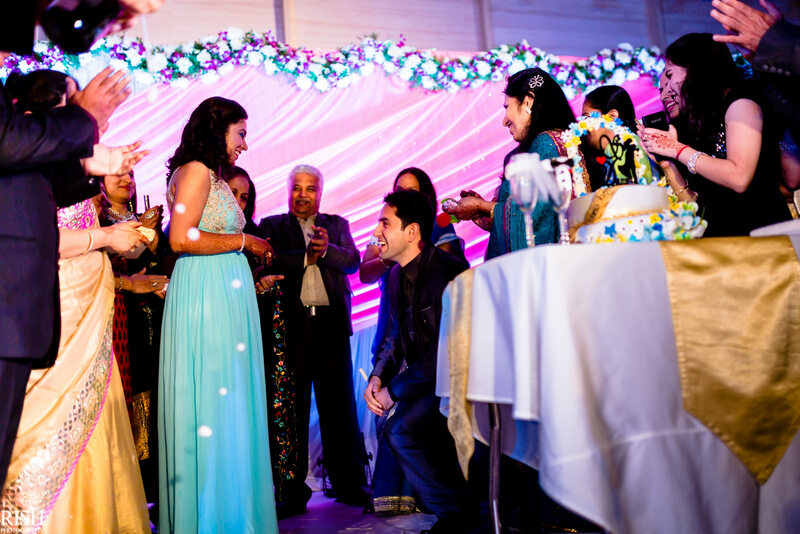 And once they had customs done, it was time to celebrate their way! 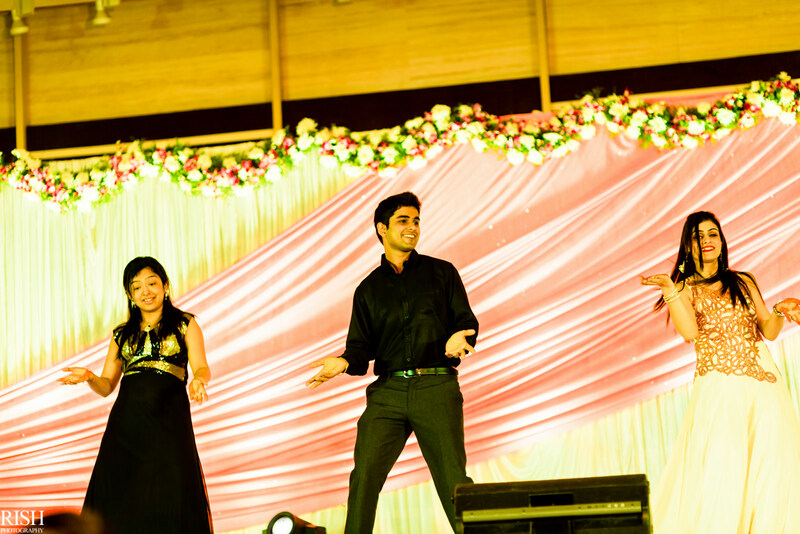 And of course, how could Aditi have missed the opportunity to try something crazy! 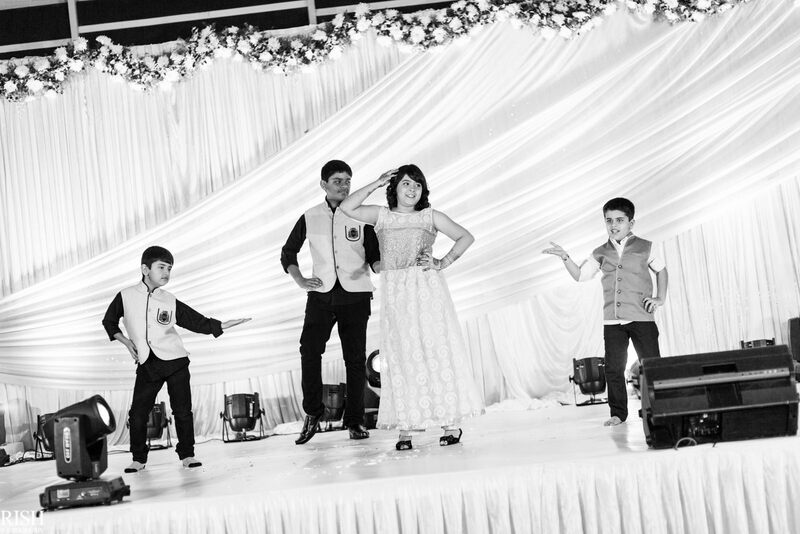 And those were the two small kick starting ceremonies of the morning. 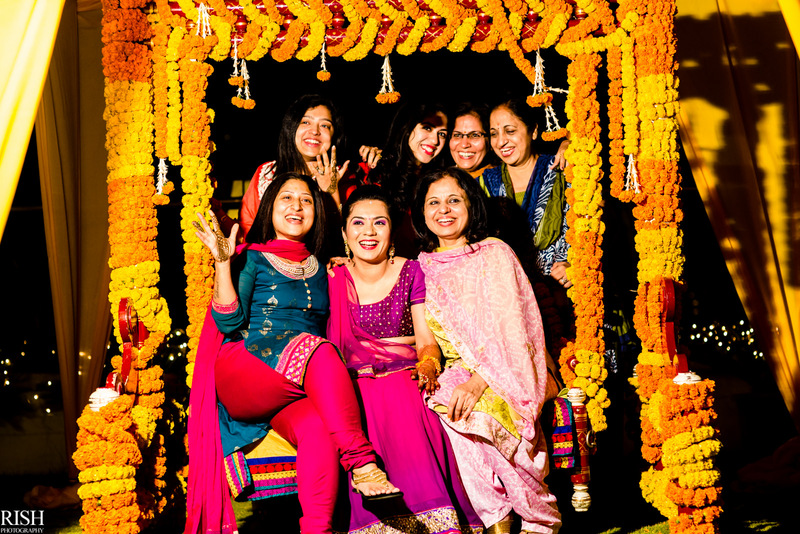 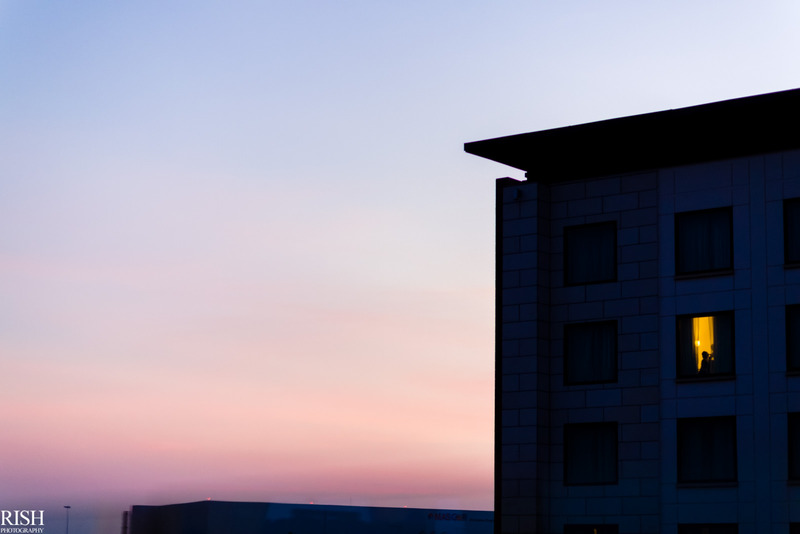 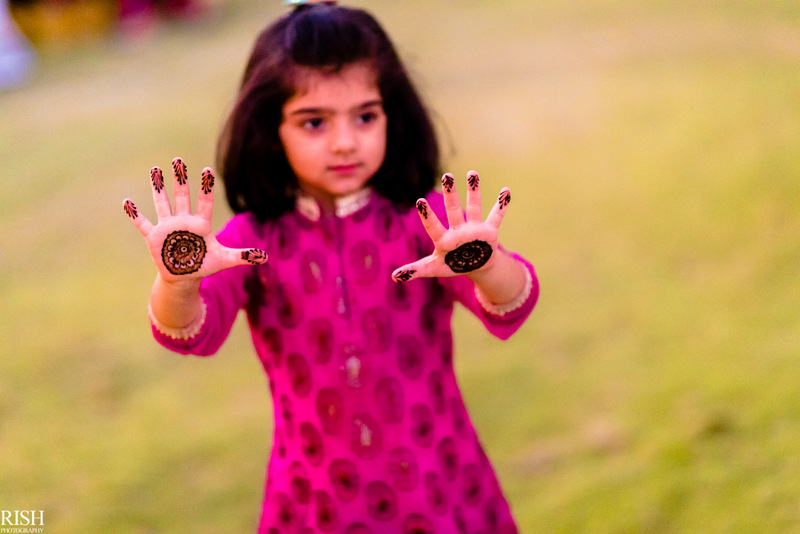 As the sun met the horizon, it was time for the rooftop mehendi-high-tea-get-together. 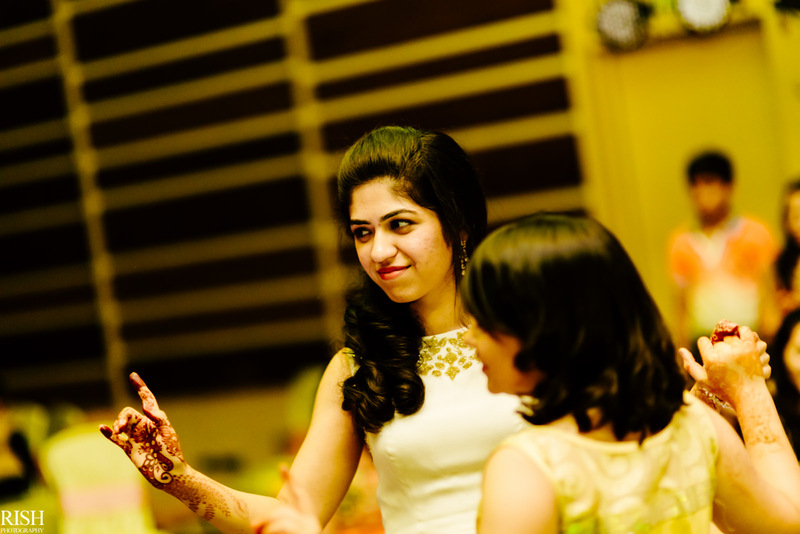 And while everything was going around me, Smriti was getting ready in her room! 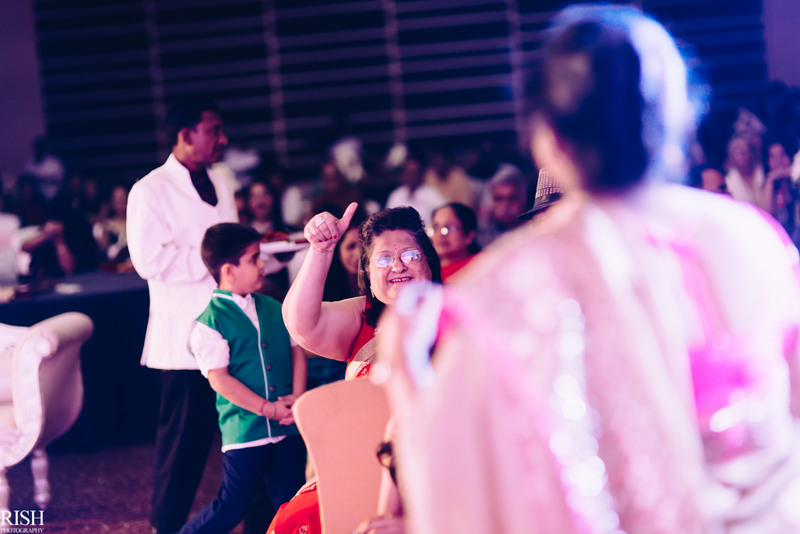 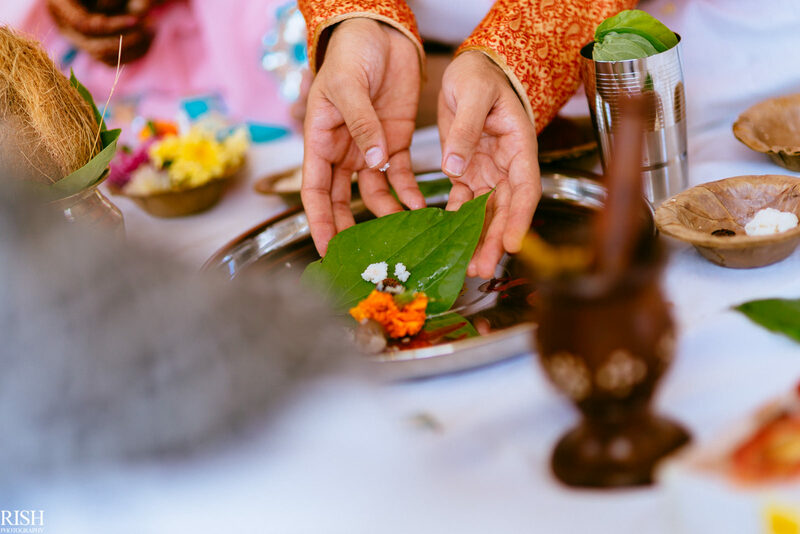 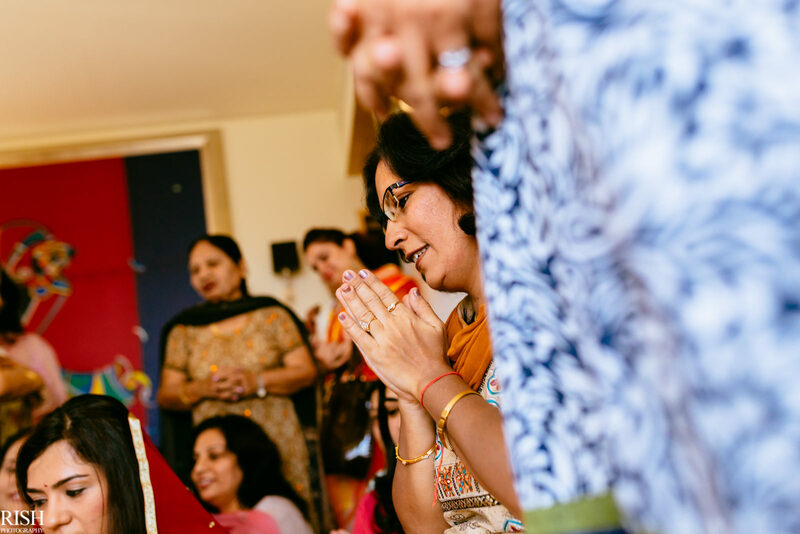 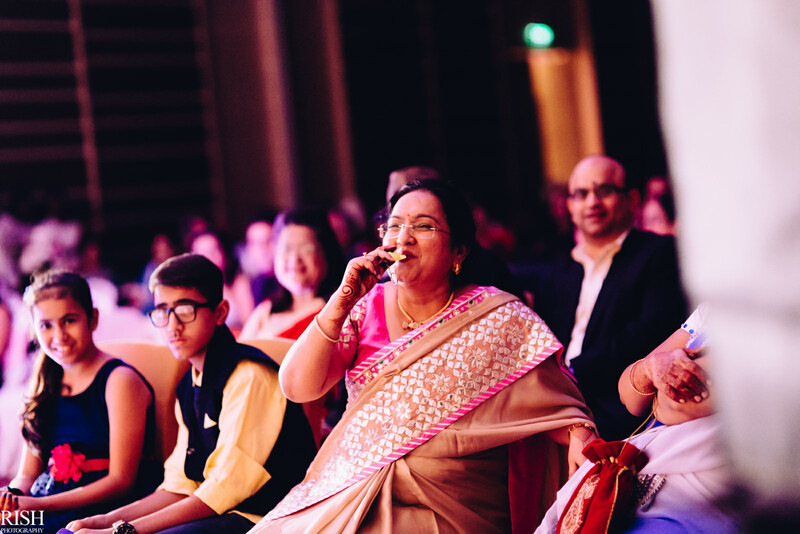 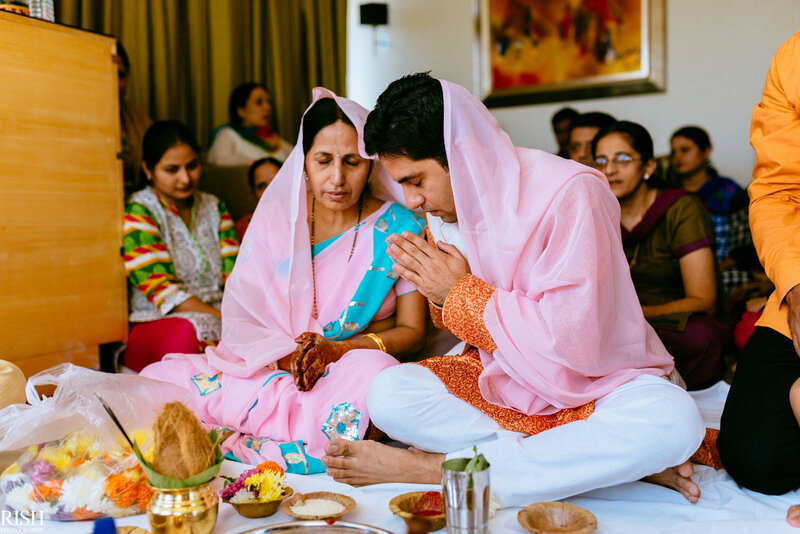 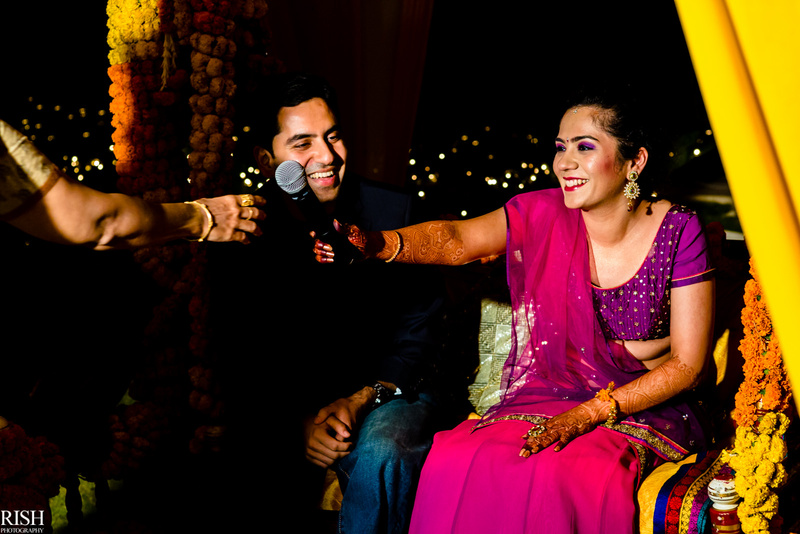 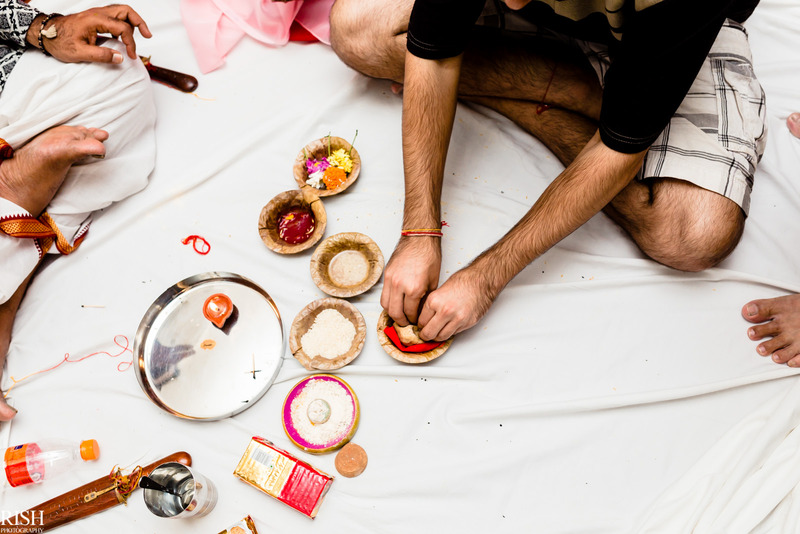 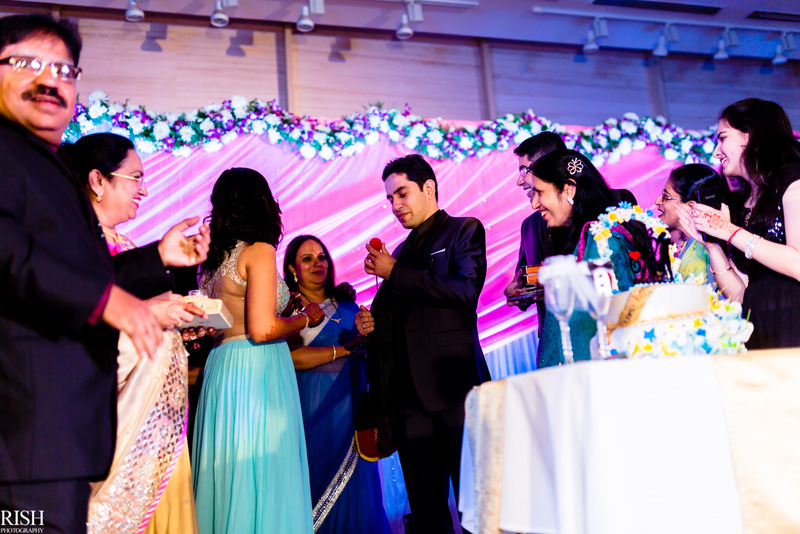 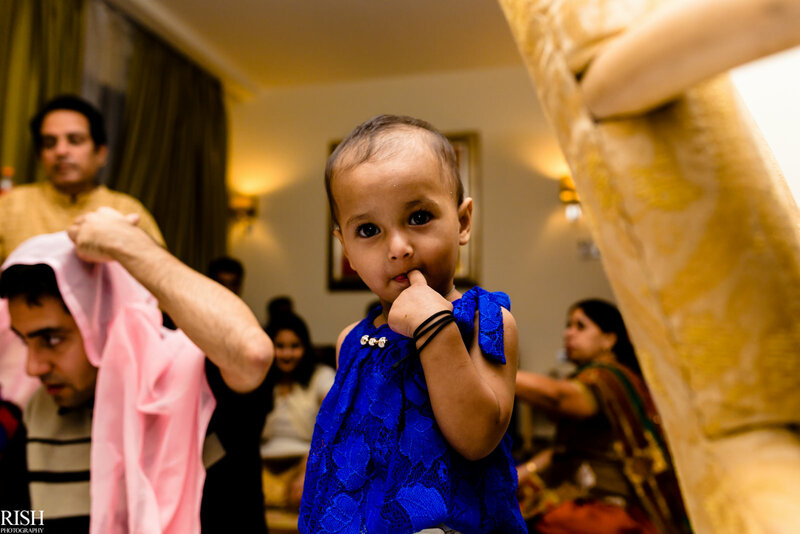 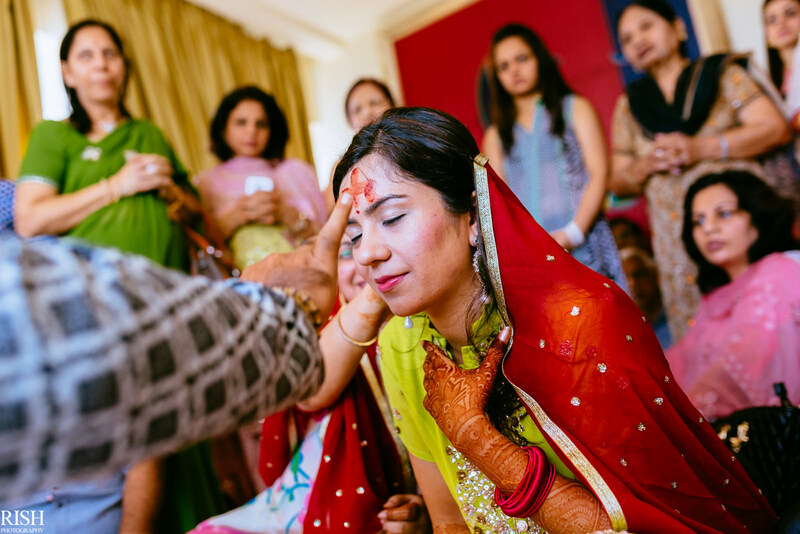 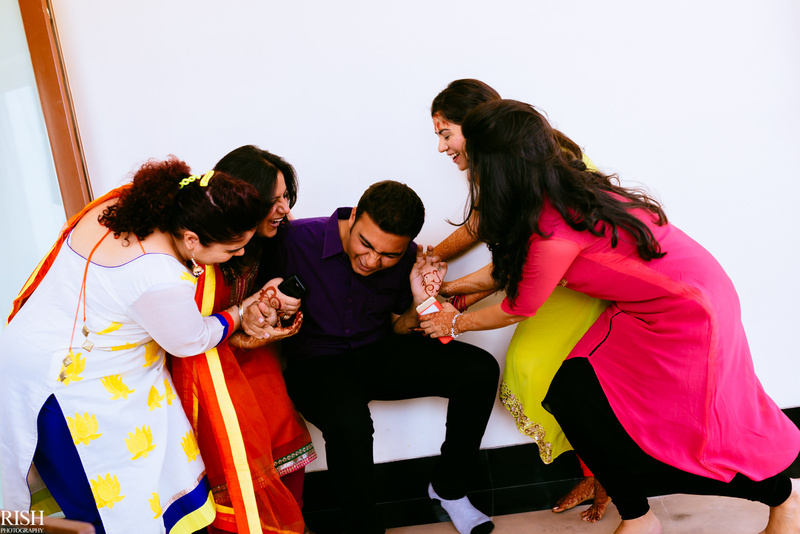 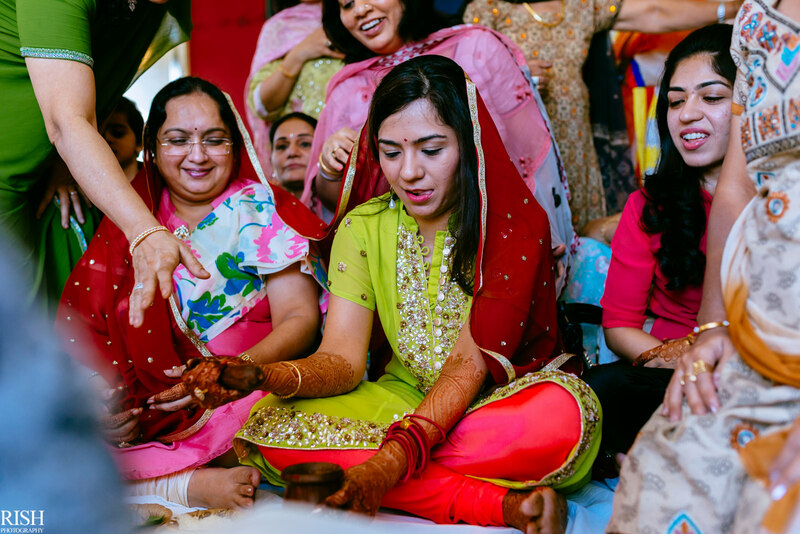 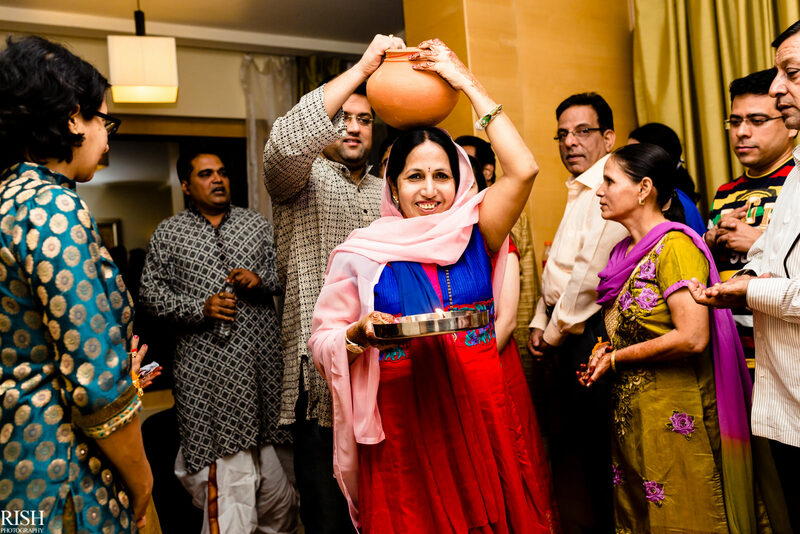 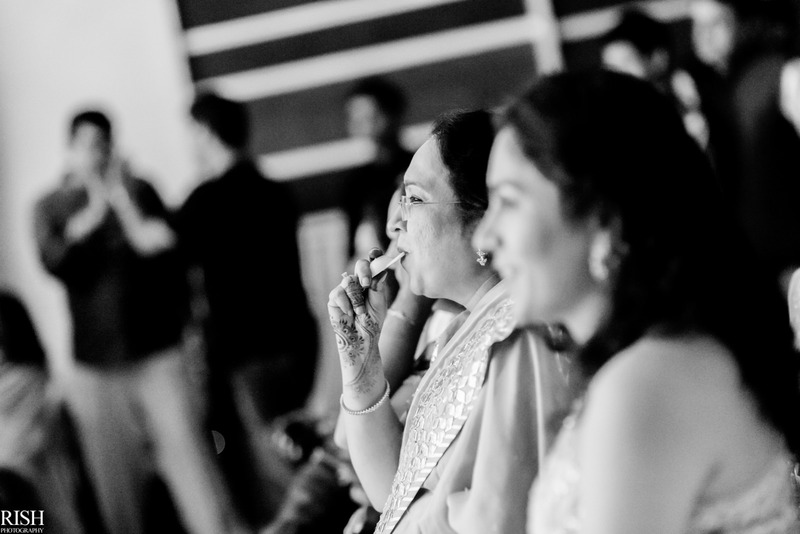 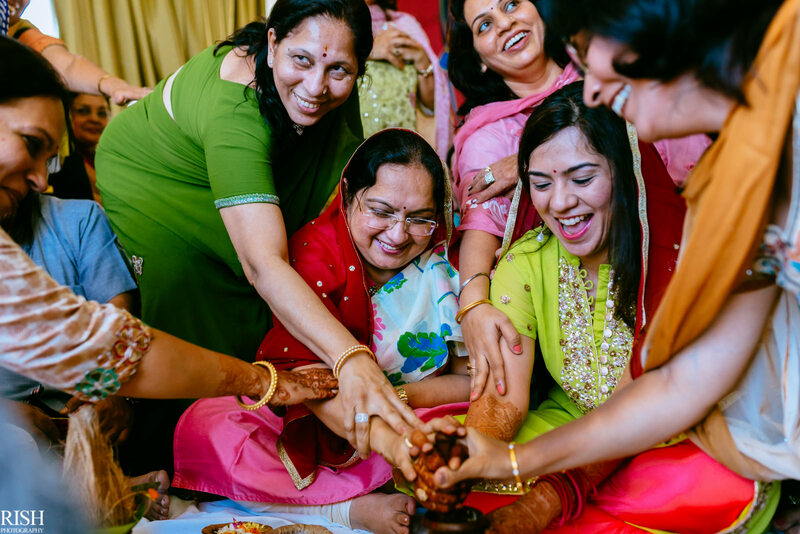 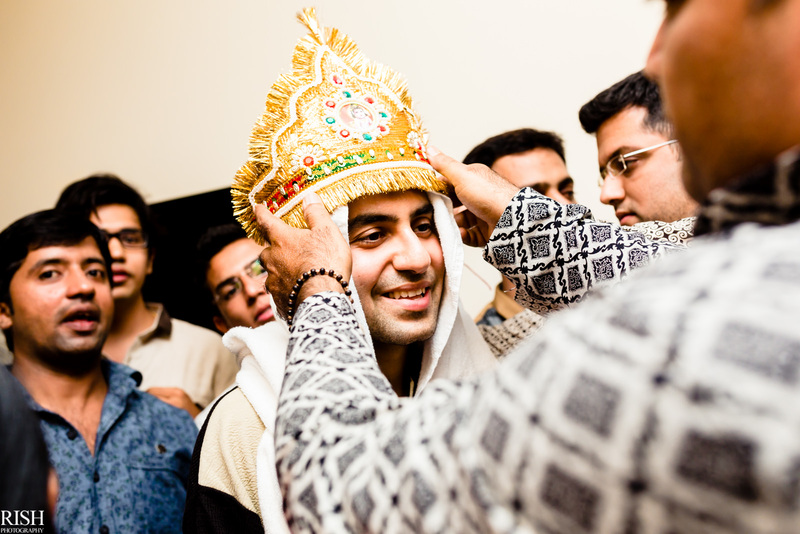 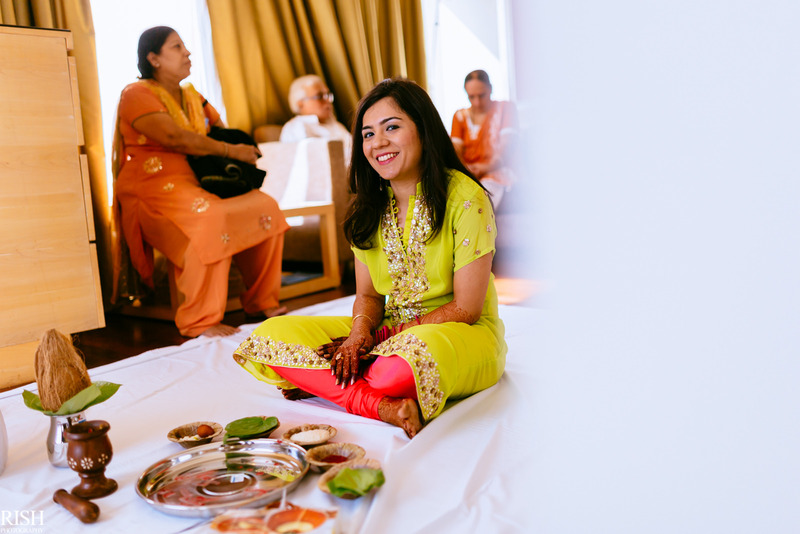 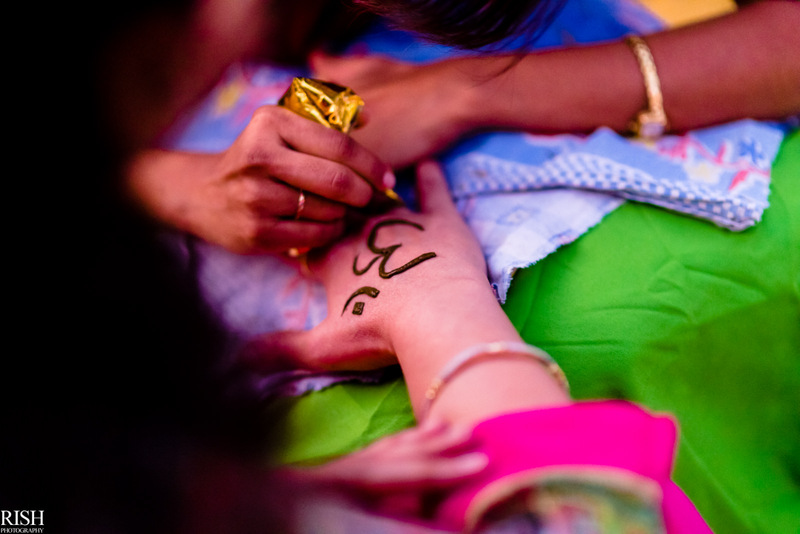 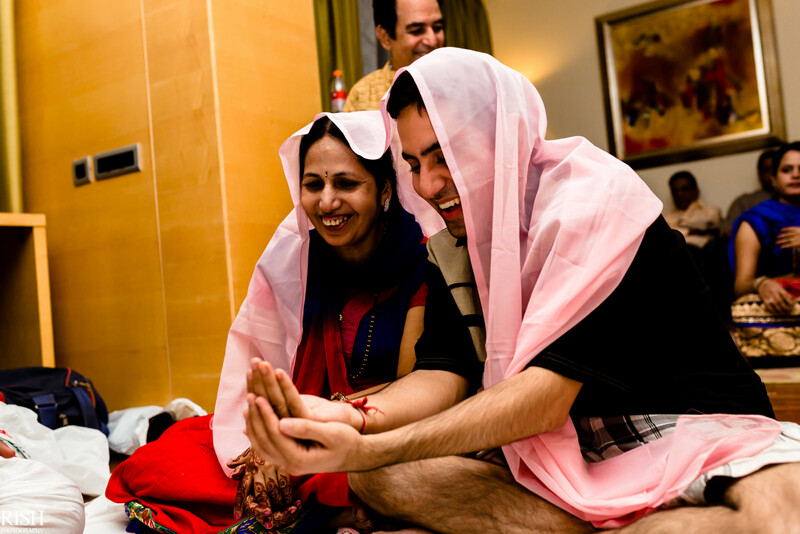 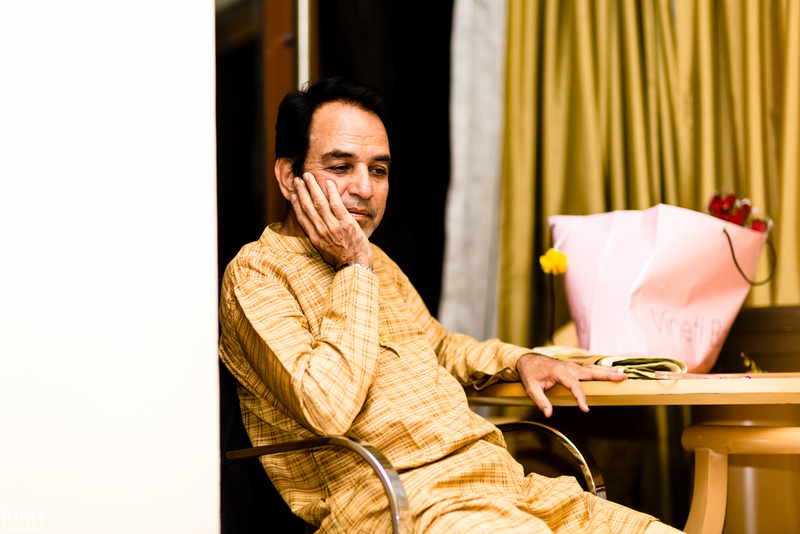 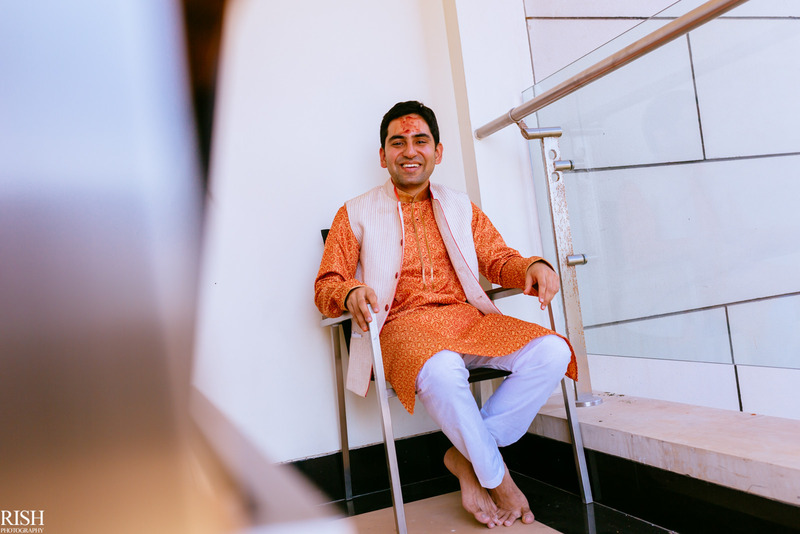 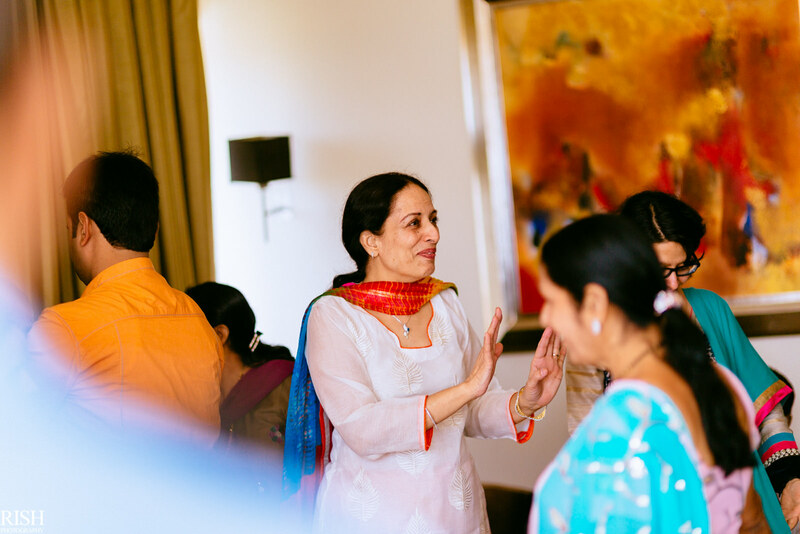 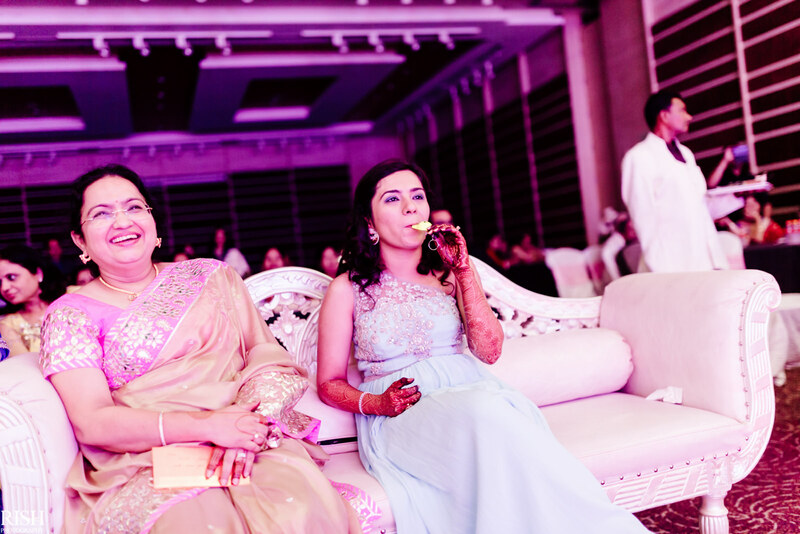 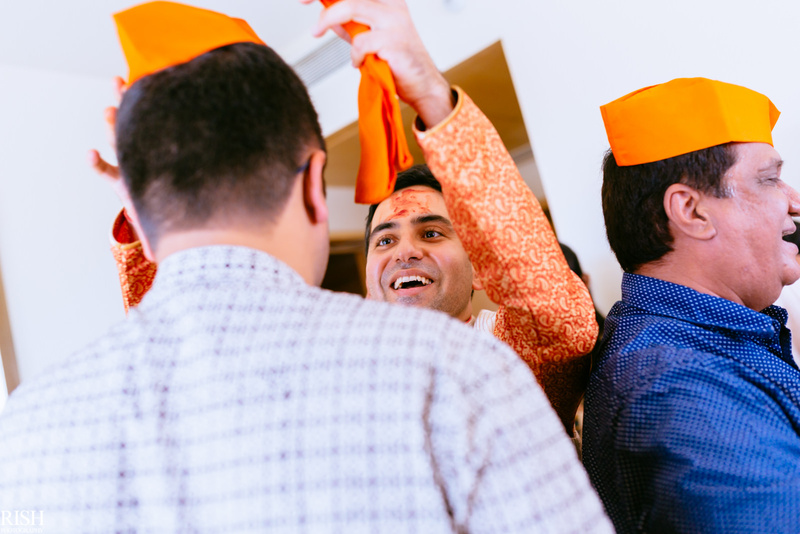 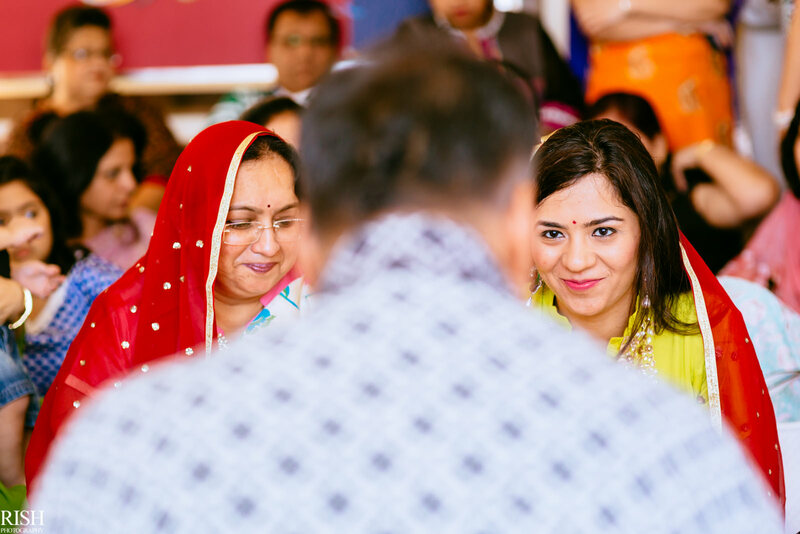 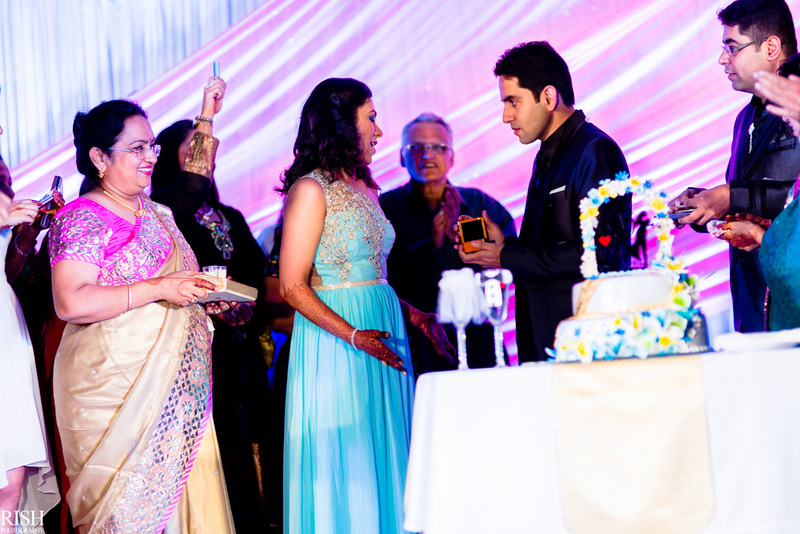 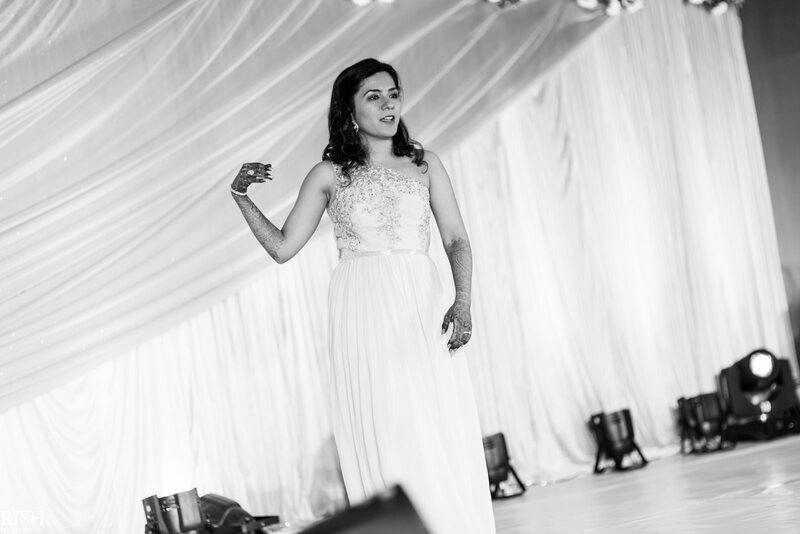 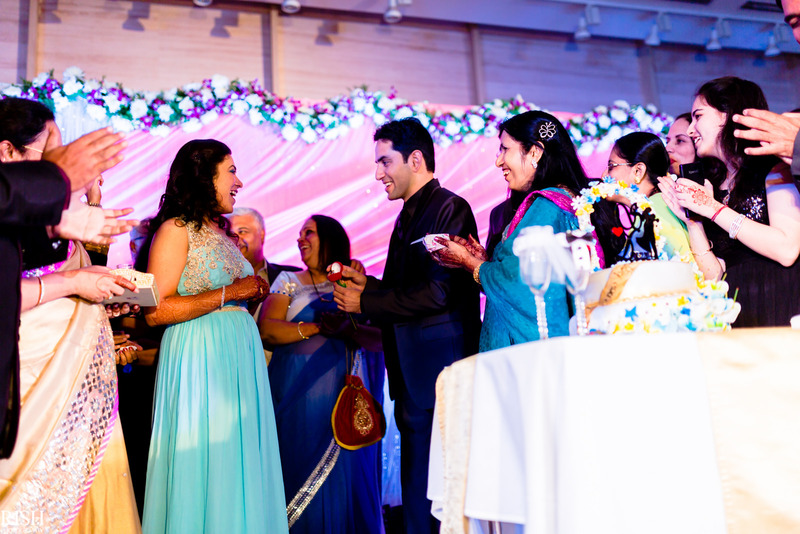 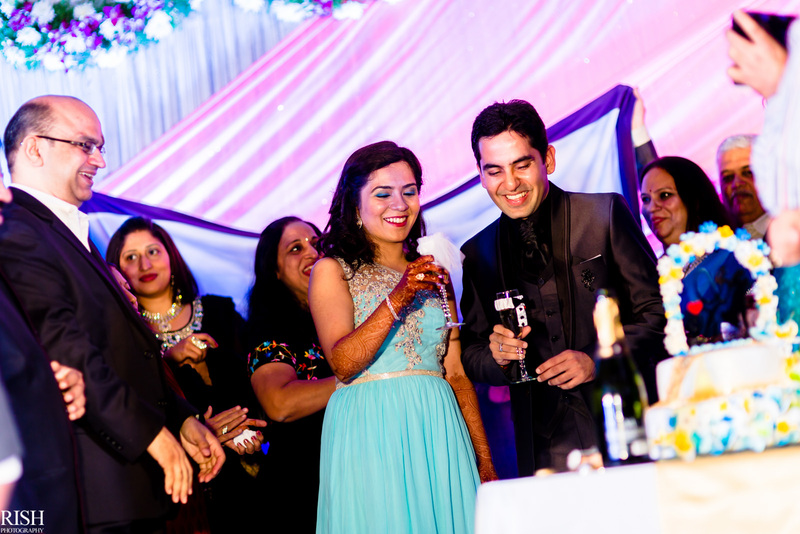 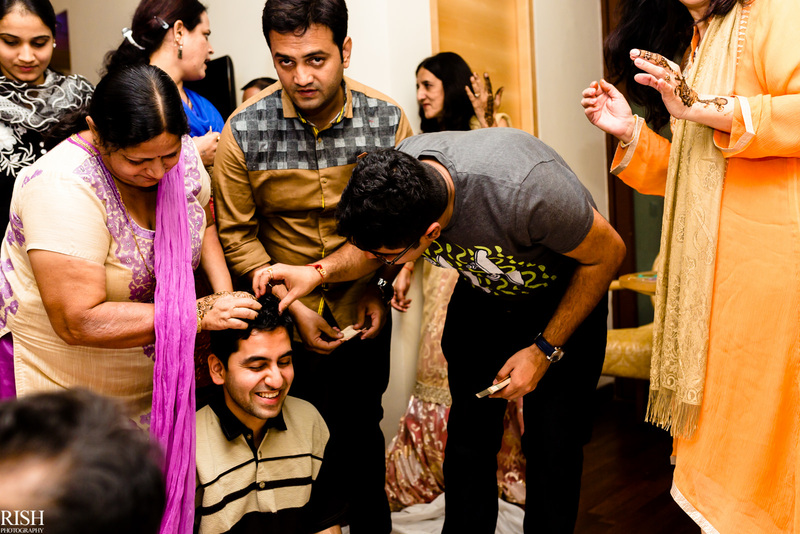 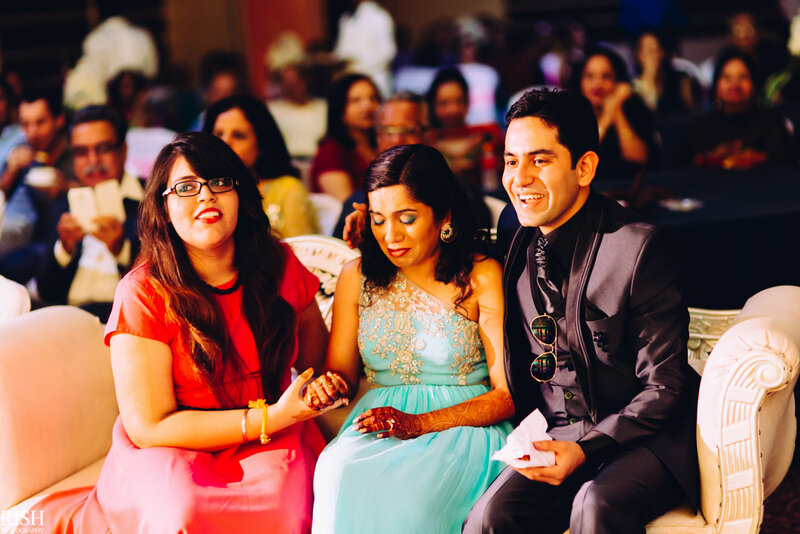 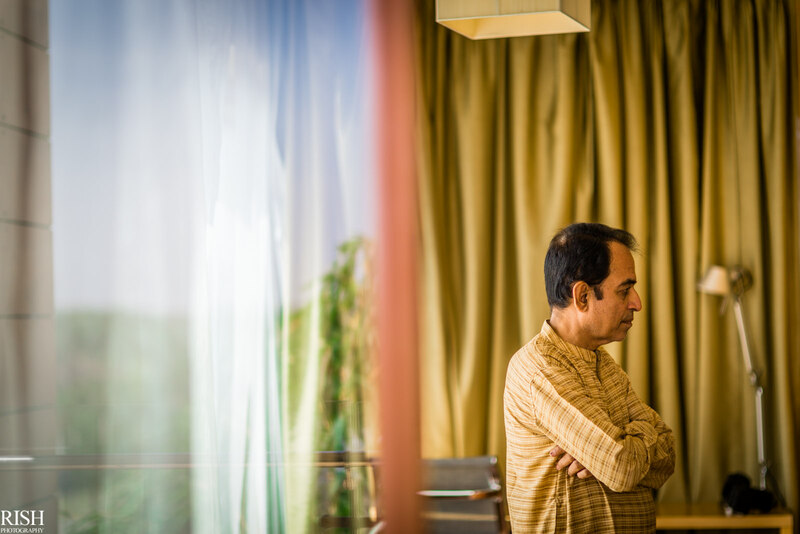 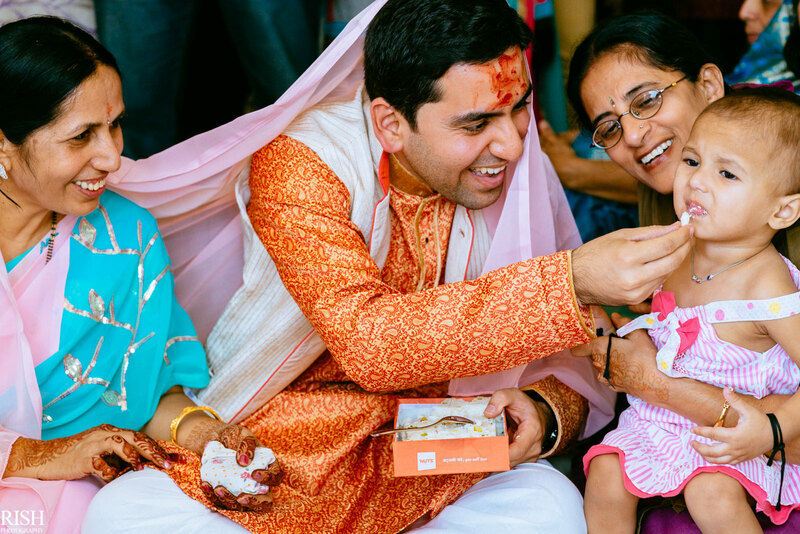 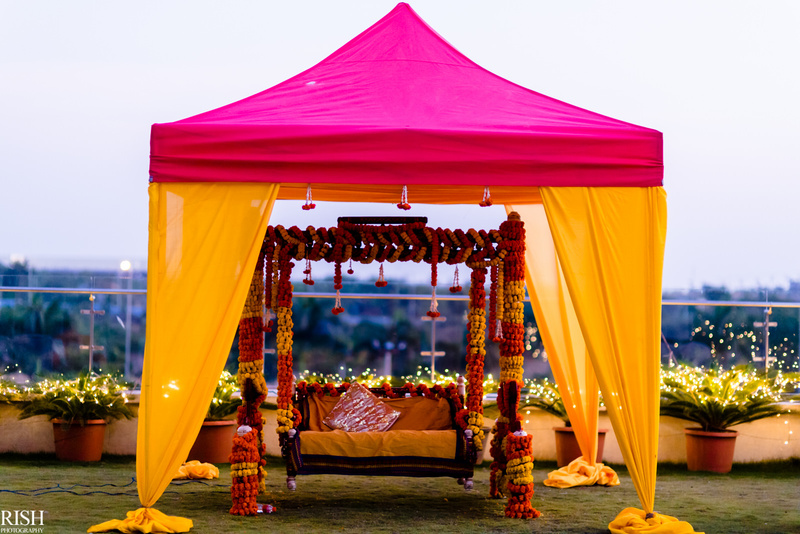 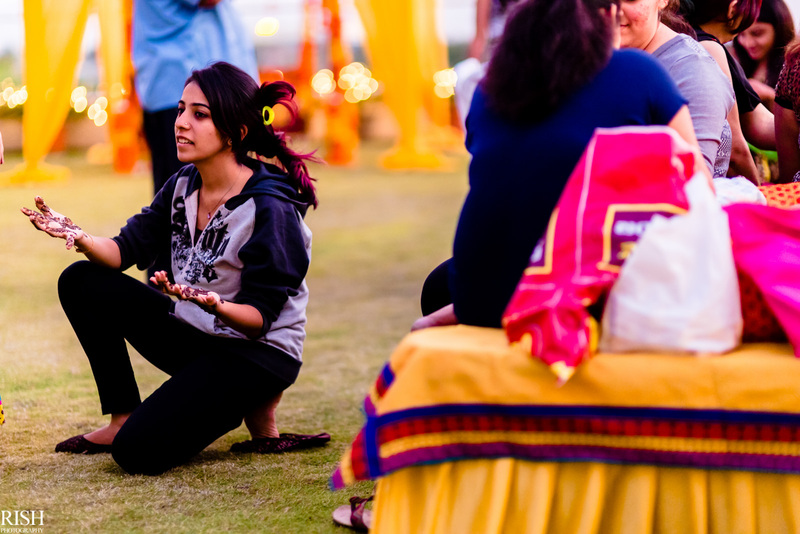 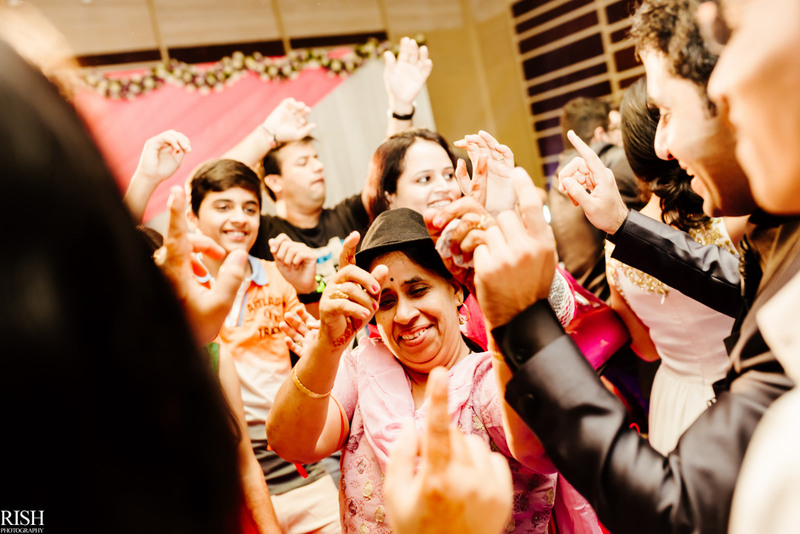 With the mehendi ending as the night approached, there was one small ceremony, Dhiraj had to go through before he could put the ring on Smriti’s finger. 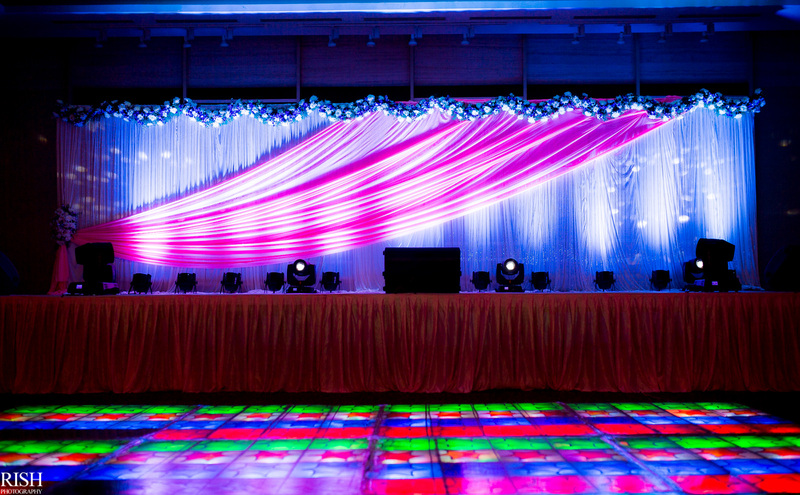 And the stage was set up! 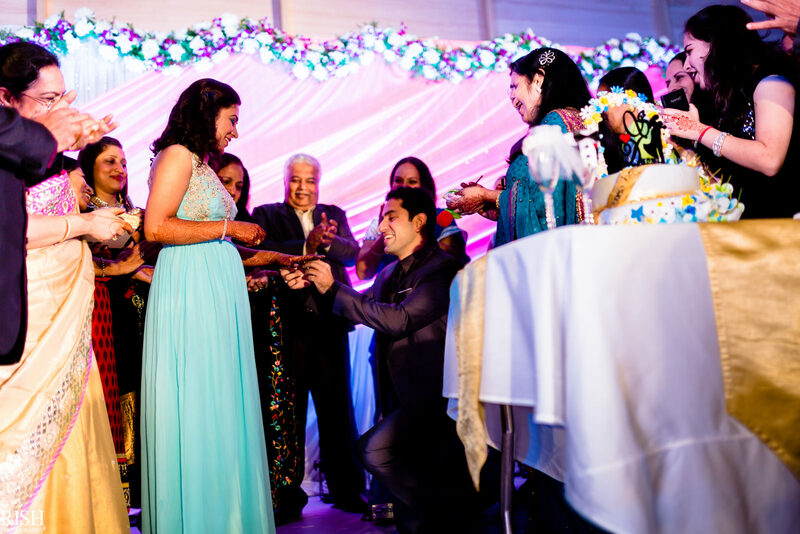 Being the person always having a prank in his pockets, how could Dhiraj have had missed the opportunity to make on in his own engagement? 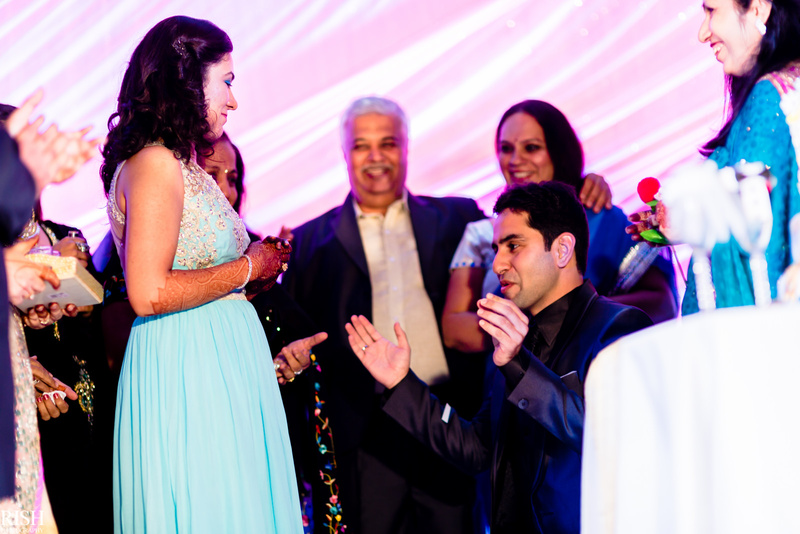 The ring suddenly goes missing from the box! 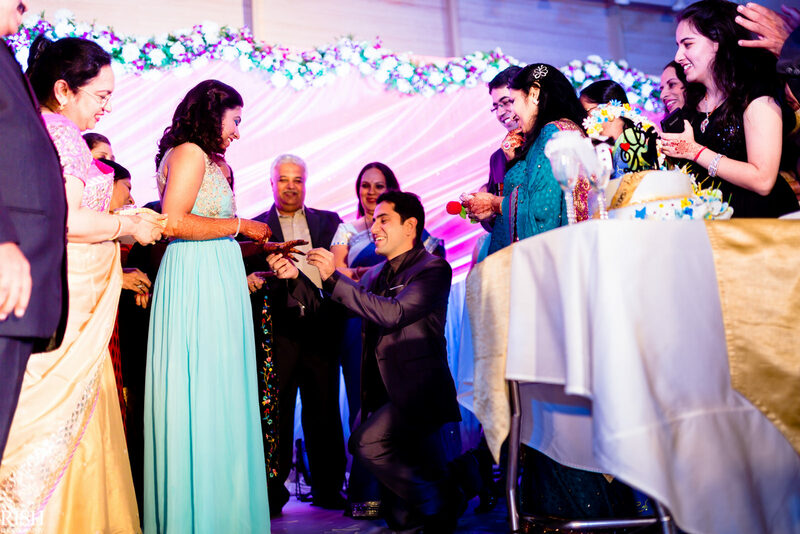 And then Dhiraj pulls the *not so suspicious* rose from his pocket. 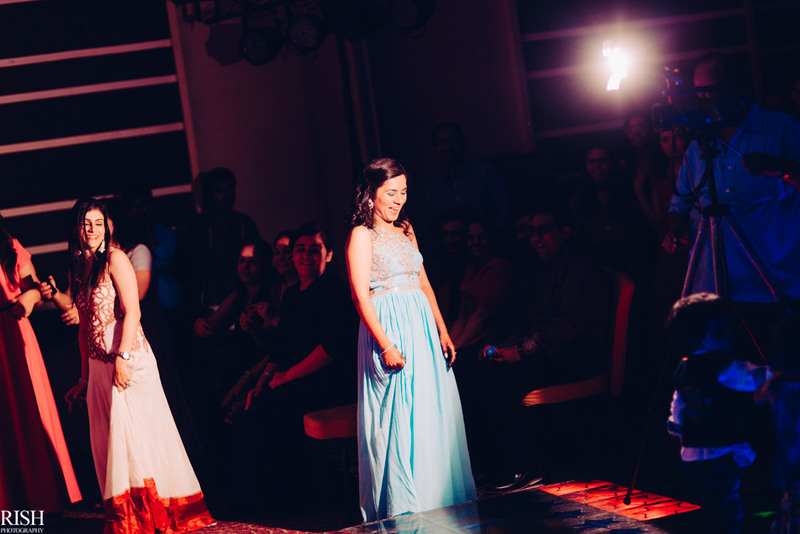 And with that, it was time for everyone to perform on the stage! 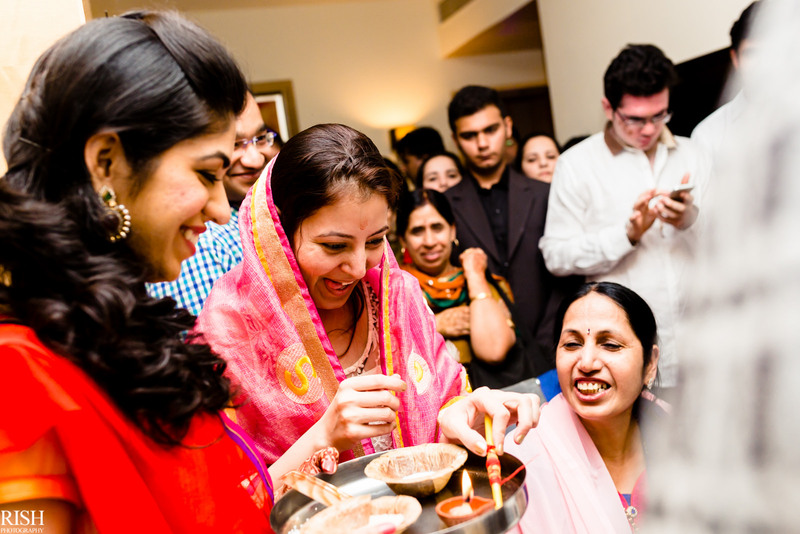 On which, Smriti’s parents had a very special performance to make. 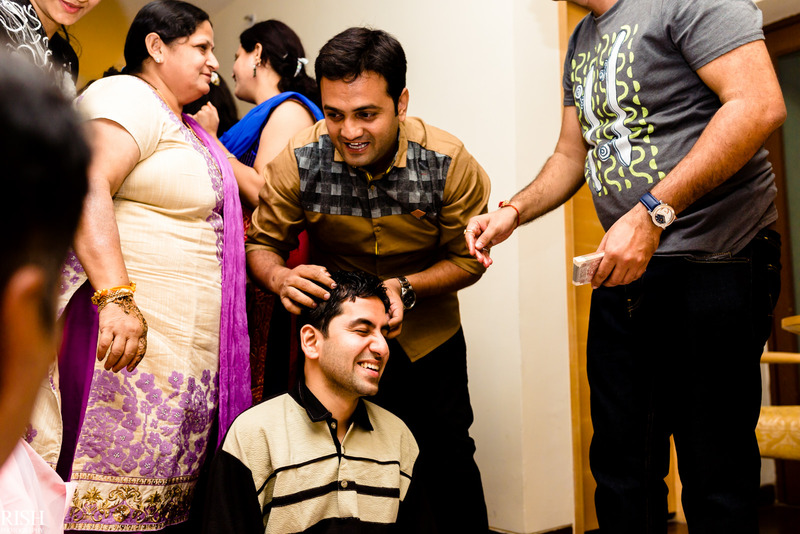 And evidently, it was indeed a special one! 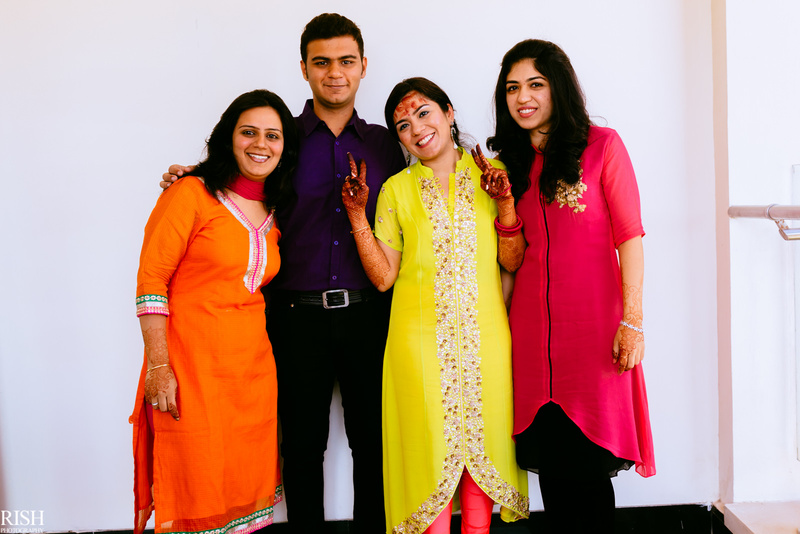 And that was a wrap of the engagement day. 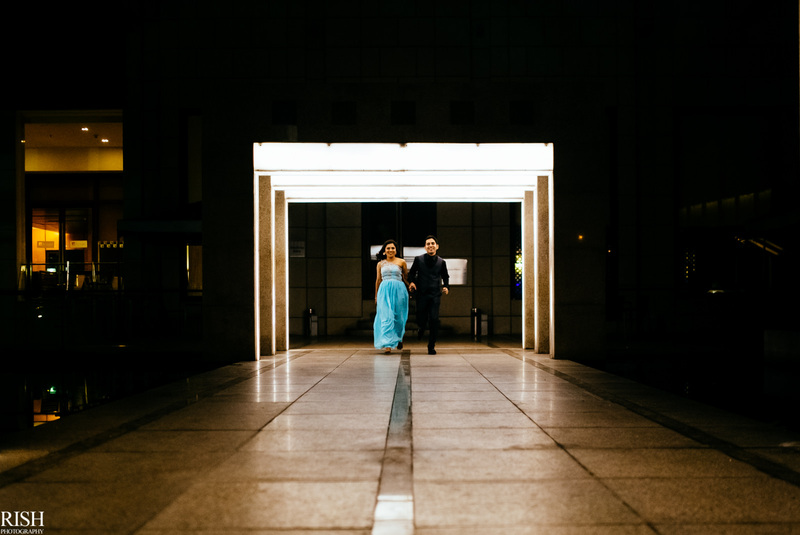 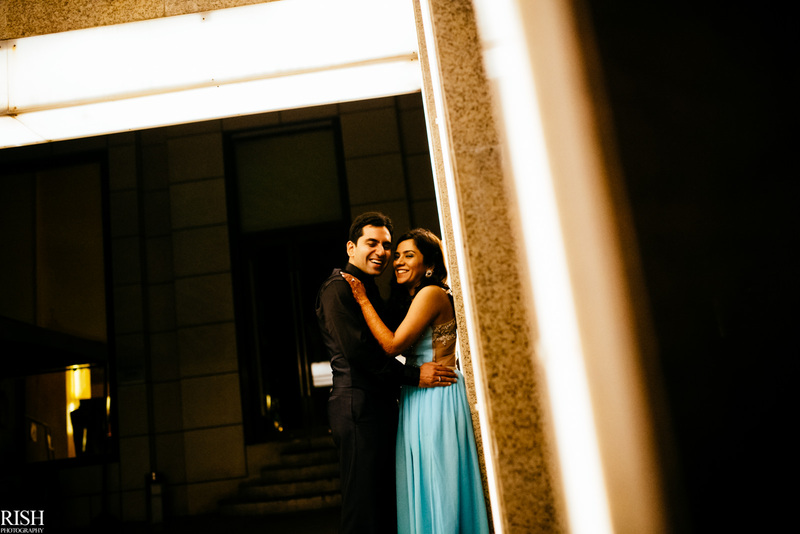 While it went on to around 3am, I sneaked Dhiraj & Smriti out for some last shots.